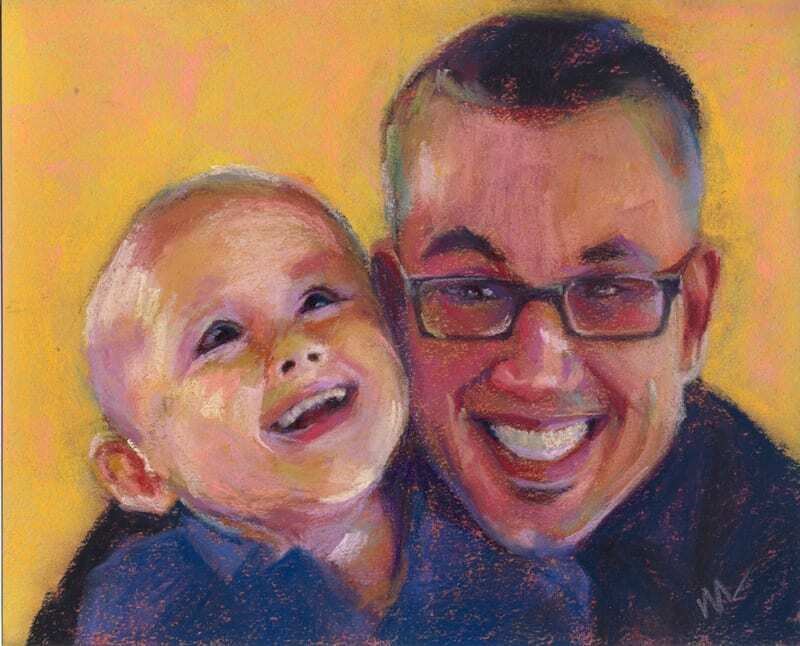 Thanks to everyone who participated in my 100 Portraits in 100 Days project. 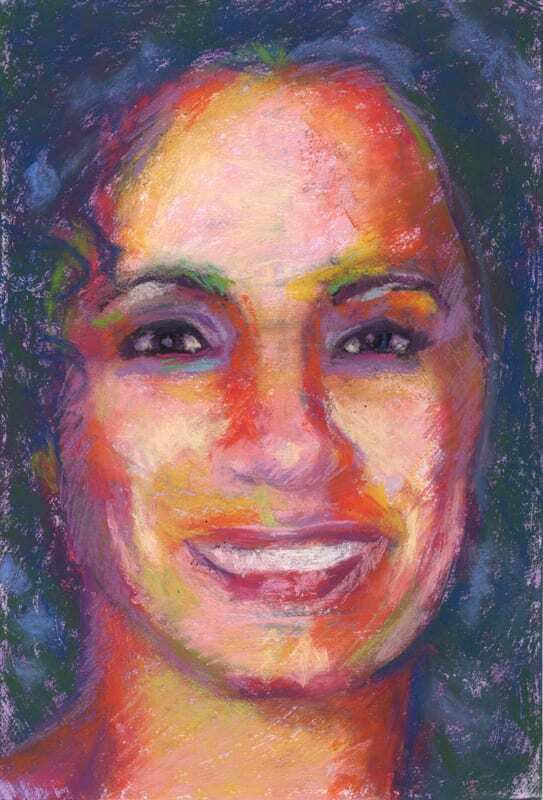 It was a lot of fun to paint so many smiling faces. The project resulted in sales totaling $1600, half of which I donated to the American Cancer Society. Thank you again. I like drawing people and especially faces. 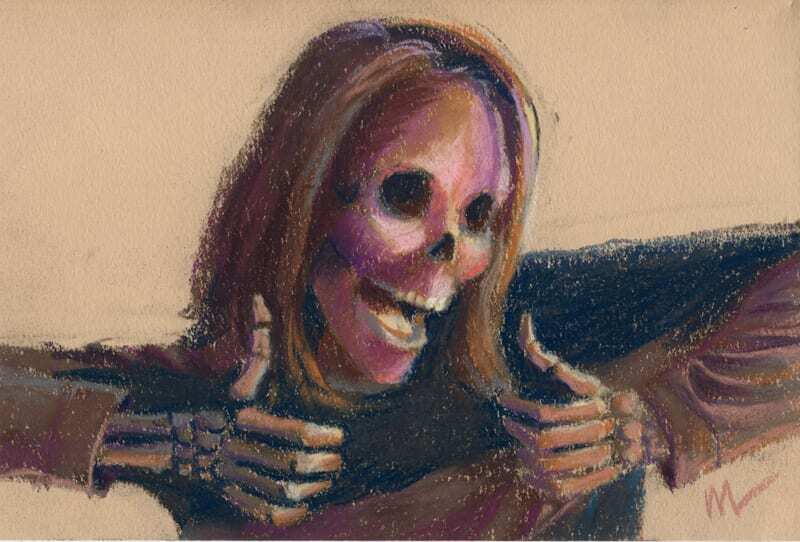 Getting so many smiling faces in my inbox has been a great way to practice my skills, plus it made me feel good. I used different grounds for this project, including Canson paper, UArt sanded paper and mat board that I coated with pumice and gesso. 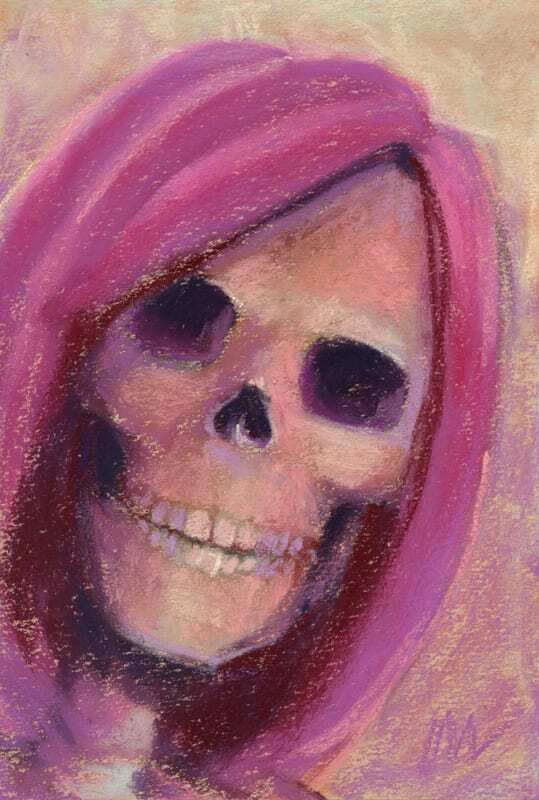 I experimented with different underpaintings including watercolors and alcohol washes, as well as different colored papers. 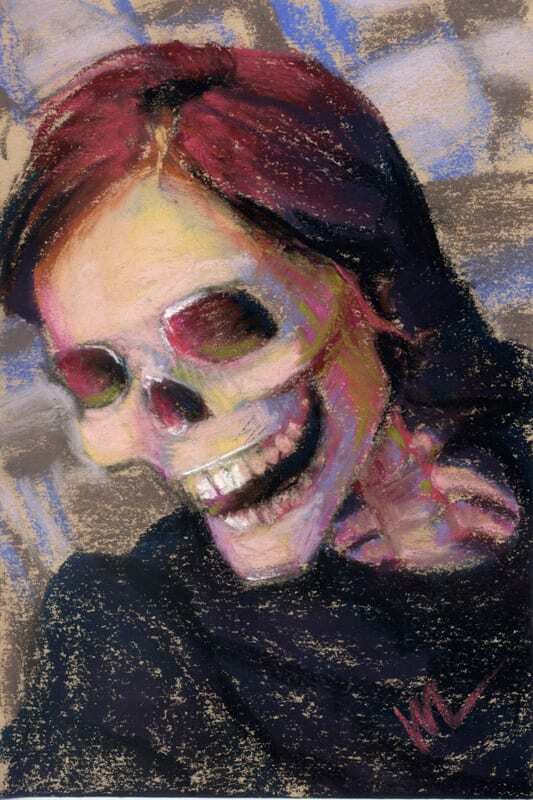 I played with color palettes, finally settling on a set of 42 colors for the last dozen or so paintings. 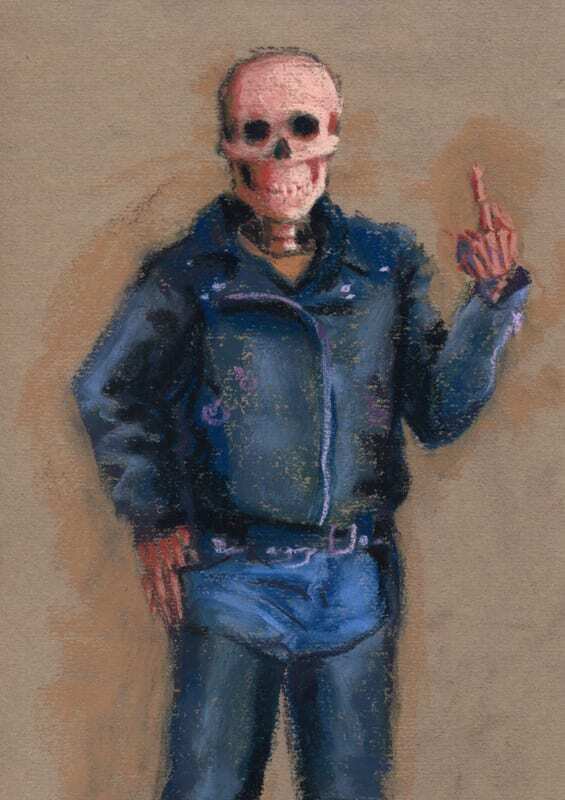 Sixteen of the portraits were skulls, with some of you requesting one at the start, a few asking me to roll the dice, and four skullified versions of old masters paintings. 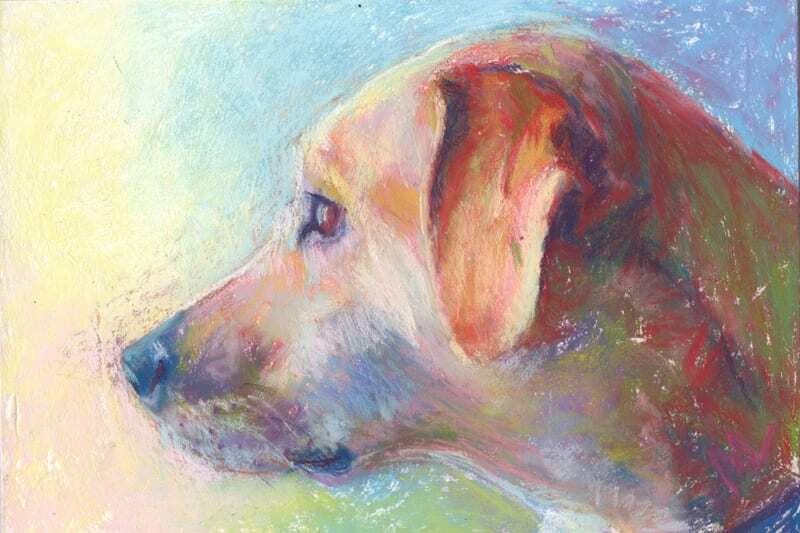 Four of the portraits were of animals, 3 dogs and 1 tortoise! Check the gallery and see if you can spot the cat that was included along with her human. 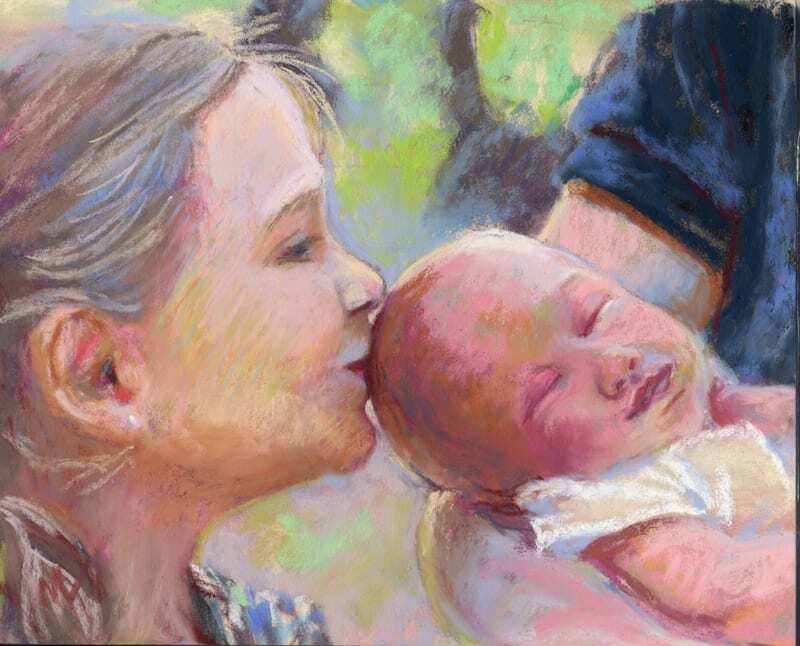 A few of the portraits requested were memorials for a loved one since passed away. I was honored by these requests and I hope they bring the recipients a measure of comfort. 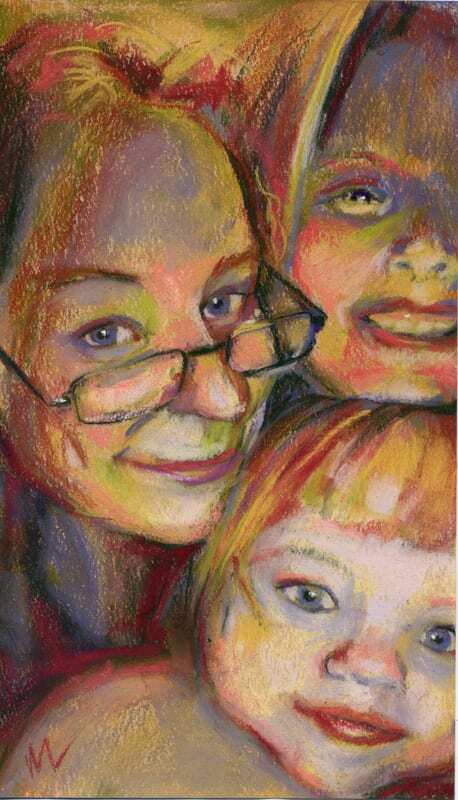 Some of the portraits came together in as little as an hour. Some of them I labored over for days at a time. 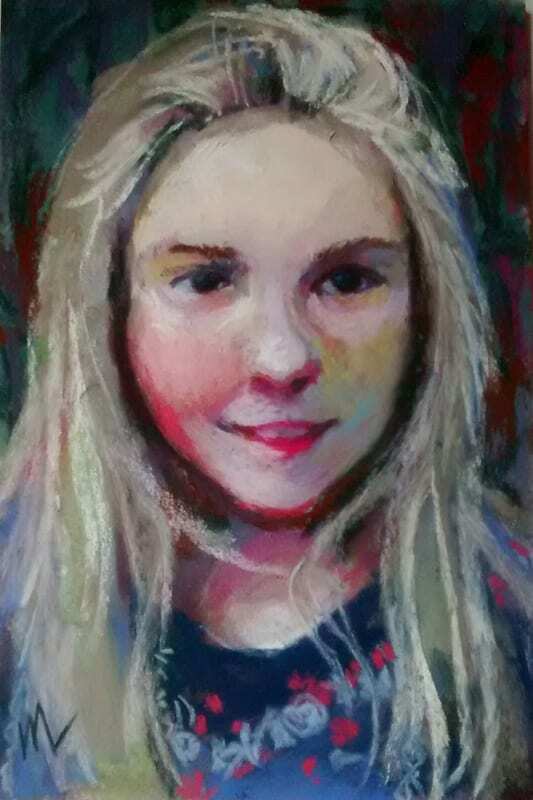 Towards the end of the project the stock of selfies dried up and I used reference images from wetcanvas.org to finish. As the work progressed, the marks became more loose and confident, which was my goal from the start. The gallery of all the portraits I did for this project is below. 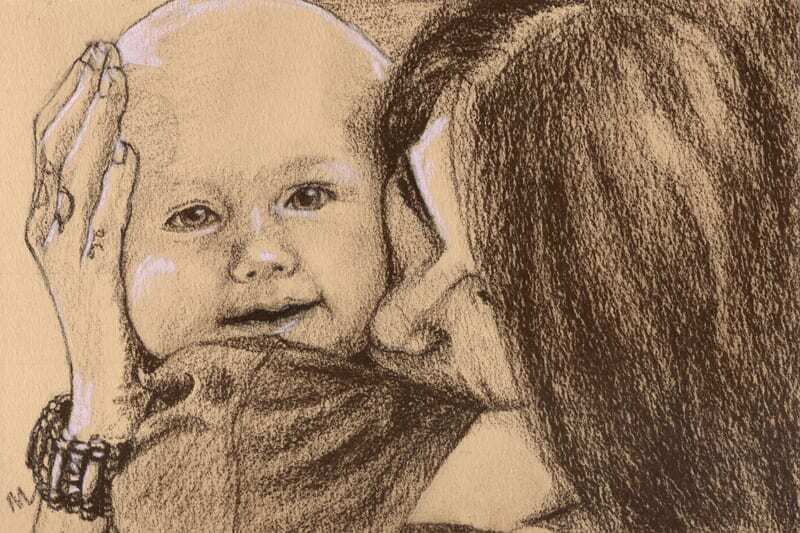 If you see a portrait that you’d like to have, email me and I’ll let you know if it’s available. They’re priced by the head. $100 per face plus $12 shipping. 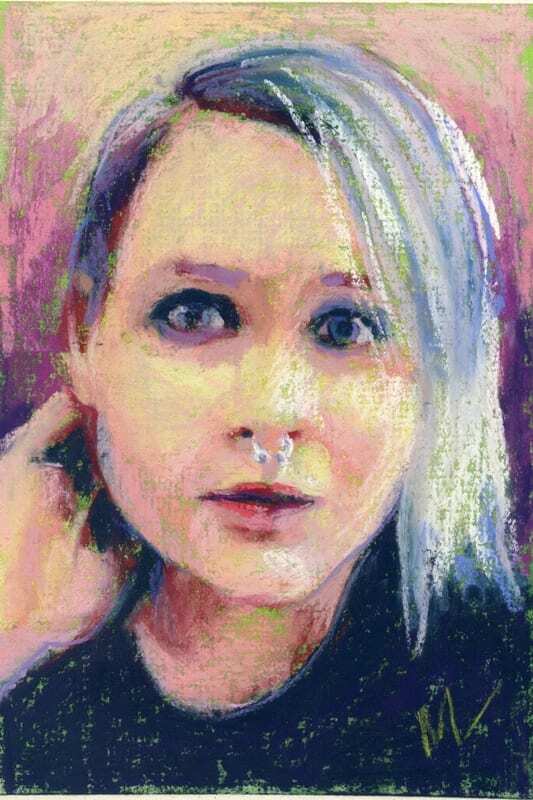 I also have a portrait commissions page that you can check out if you’re interested in having me paint a portrait for you. No. 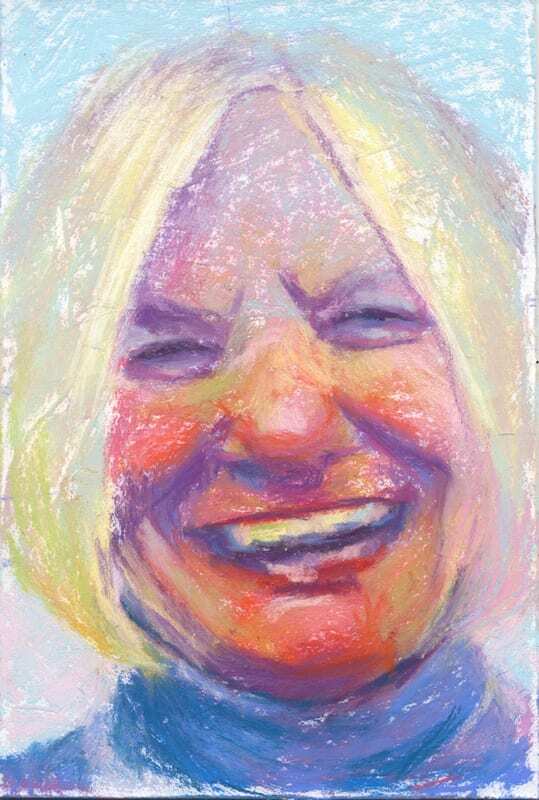 1, 100 Portraits in 100 Days, 6×9″ pastel on mat board with pumice ground, by Marie Marfia. Kennah, No. 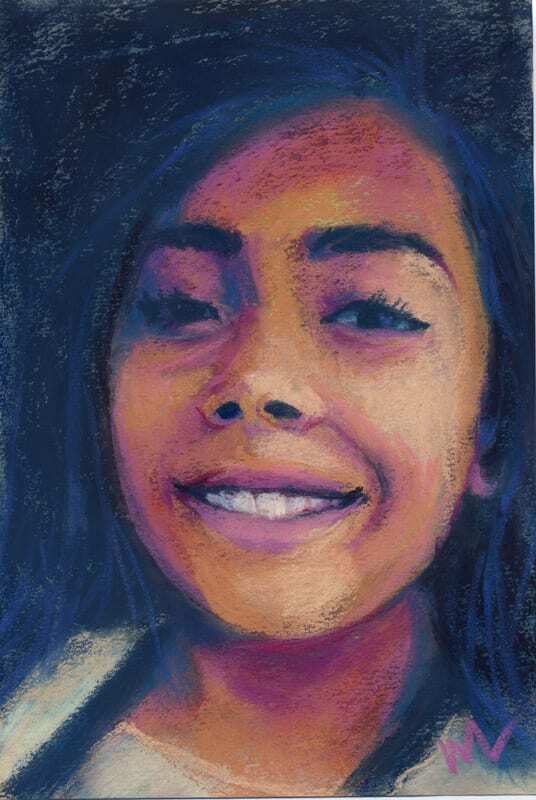 2, 100 Portraits in 100 Days series, 6×9″ pastel on mat board with pumice ground. Melissa Hill, No. 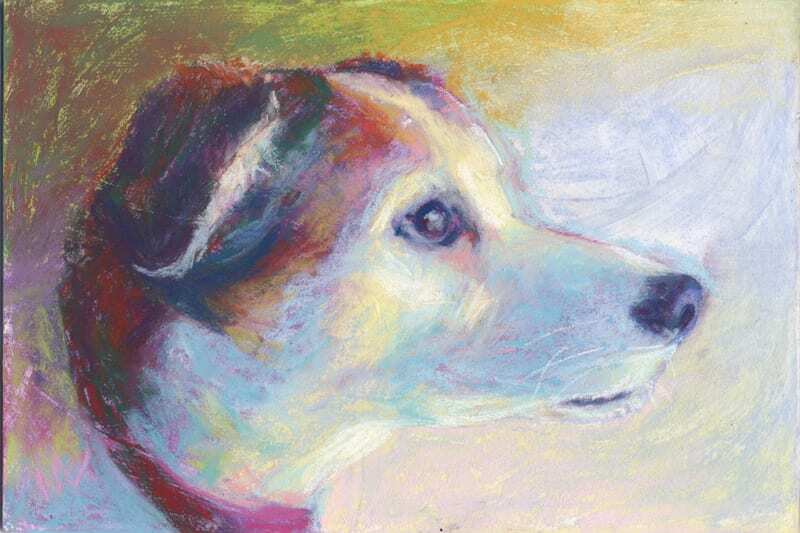 3, 100 Portraits in 100 Days, 6×9″ pastel on mat board with pumice ground by Marie Marfia. Linda and family, Nos. 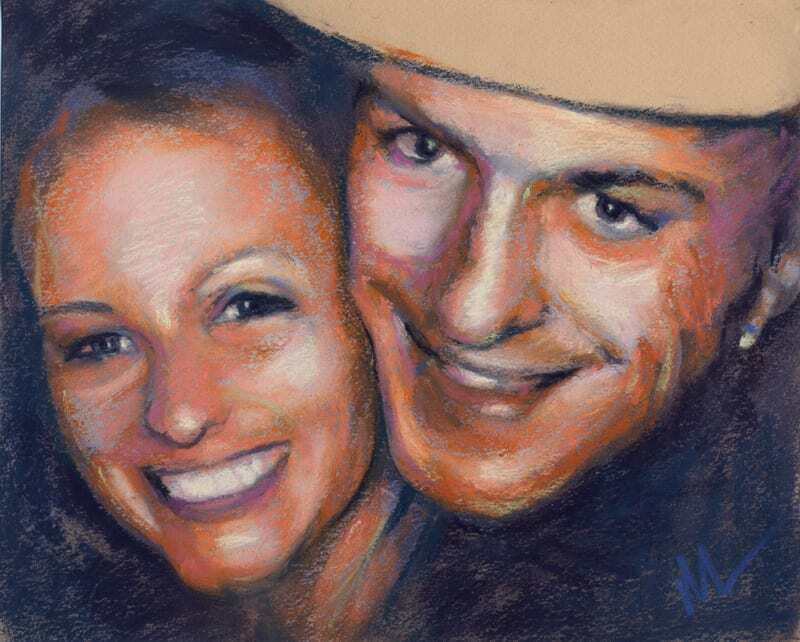 4-6, 100 Portraits in 100 Days, 10×8″ pastel on mat board with pumice ground by Marie Marfia. Sold. No. 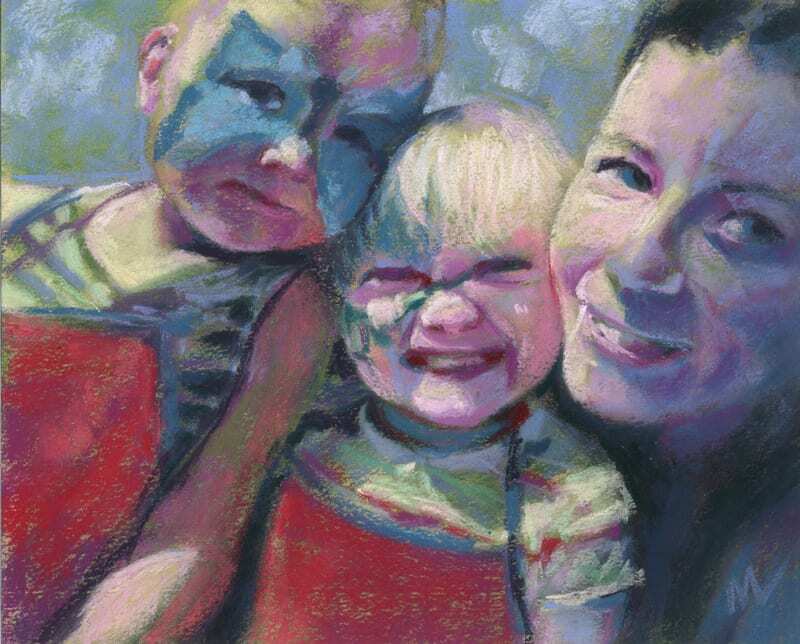 7, 100 Portraits in 100 Days, 6×9″ pastel painting on gessoed mat board by Marie Marfia. Sold. No. 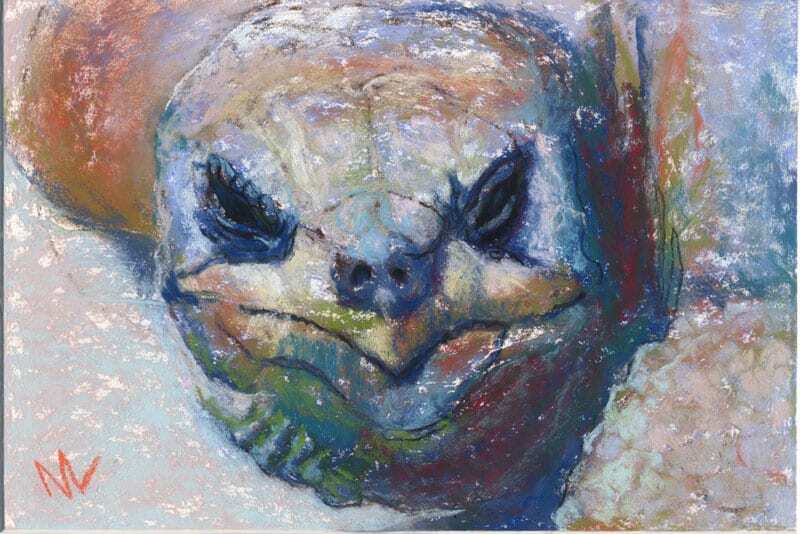 8, Izzybutterfly Totem, 100 Portraits in 100 Days series, 6×9″ pastel on mat board with pumice ground by Marie Marfia. No. 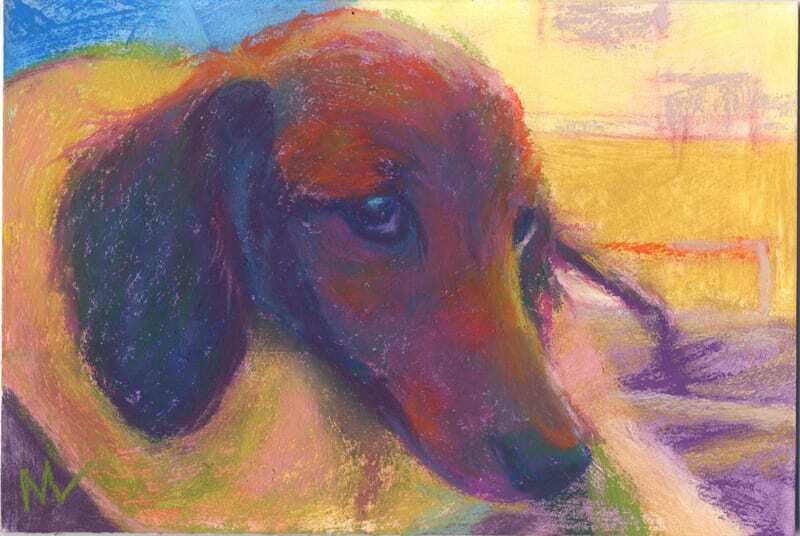 9, 100 Portraits in 100 Days, 9×6″ pastel on mat board with pumice ground, by Marie Marfia. Gloria, No. 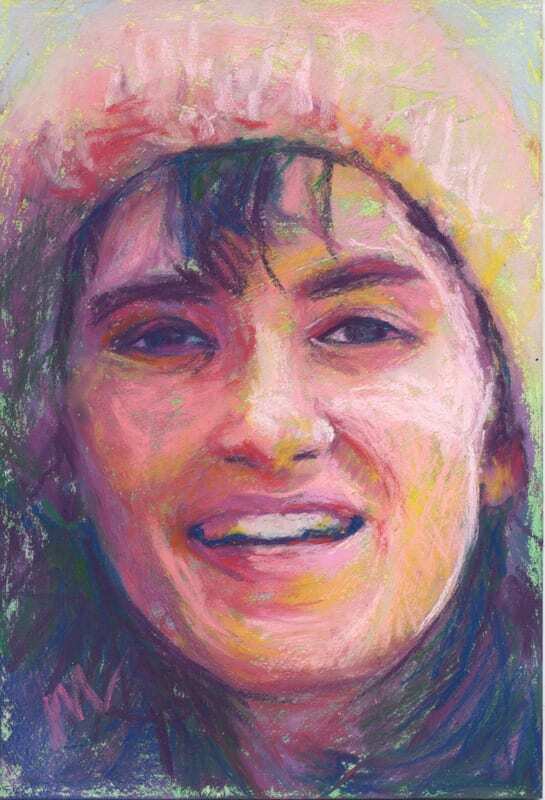 10, 100 Portraits in 100 Days, 6×9″ pastel on UArt 400 sanded paper, mounted on foam core, by Marie Marfia. Sold. 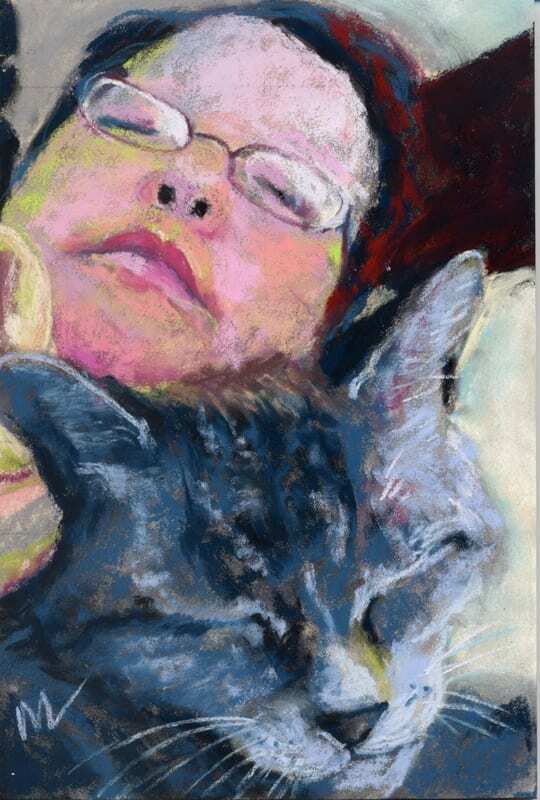 ©2017 Marie Marfia “Kelly and cat, No. 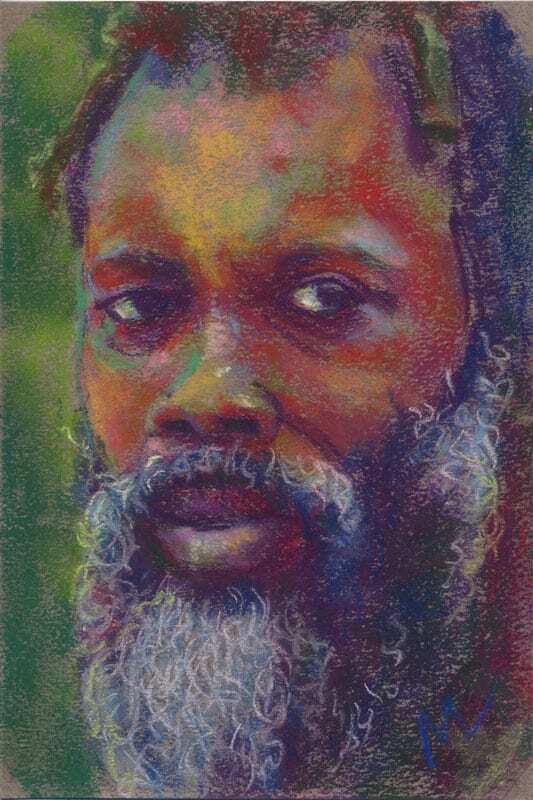 11, 100 Portraits in 100 Days,” 9×6″ pastel. Sold. Liz and Fiancee, Nos. 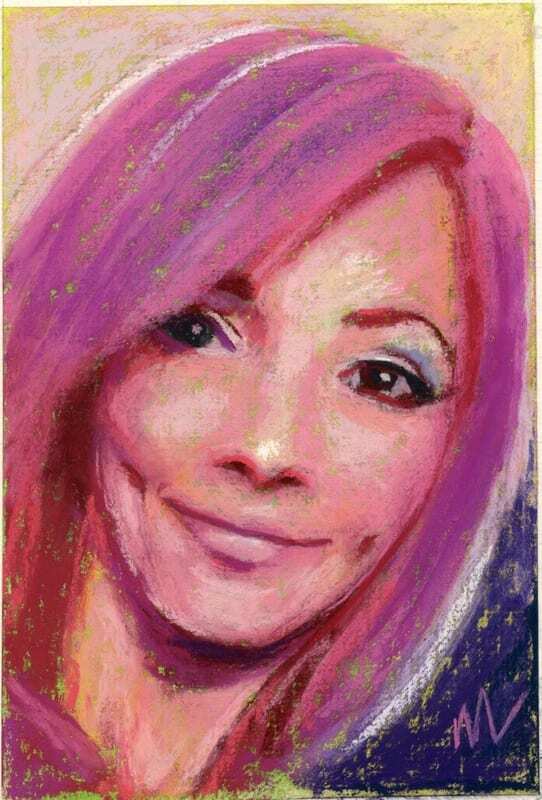 12-13, 100 Portraits in 100 Days, 8×10″ pastel on UArt 400 sanded paper mounted on foam core by Marie Marfia. Judy and Steve, Nos. 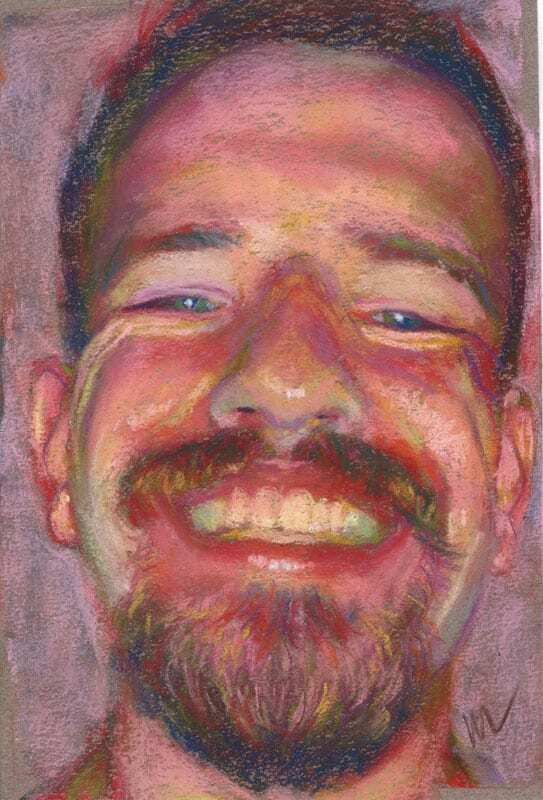 14-15, 100 Portraits in 100 Days, 8×10″ pastel painting on paper by Marie Marfia. Sold. Nos. 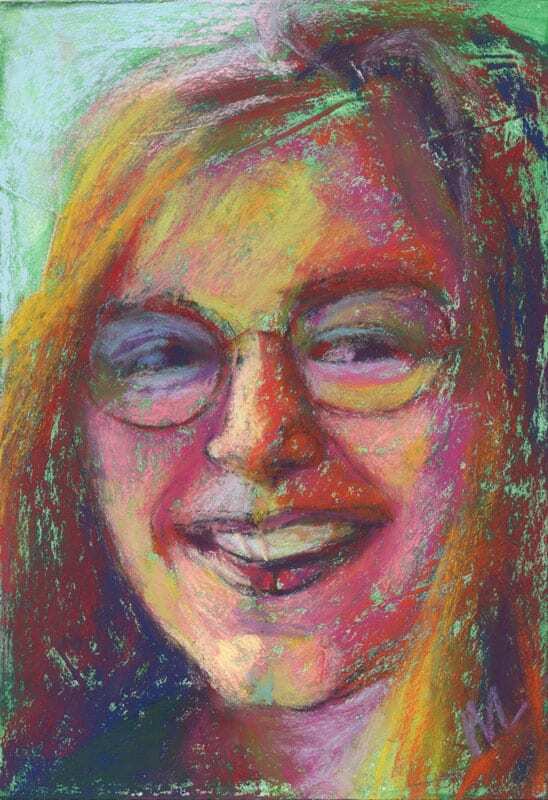 16-17, 100 Portraits in 100 Days, 8×10″ pastel on paper by Marie Marfia. No. 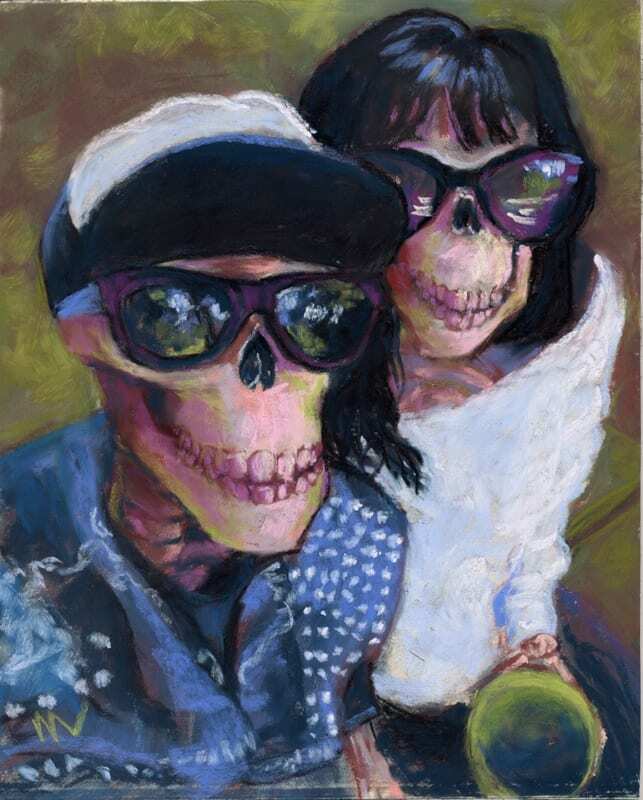 18, 100 Portraits in 100 Days, 6×9″ pastel on UArt sanded paper mounted on foam core by Marie Marfia. Sold. No. 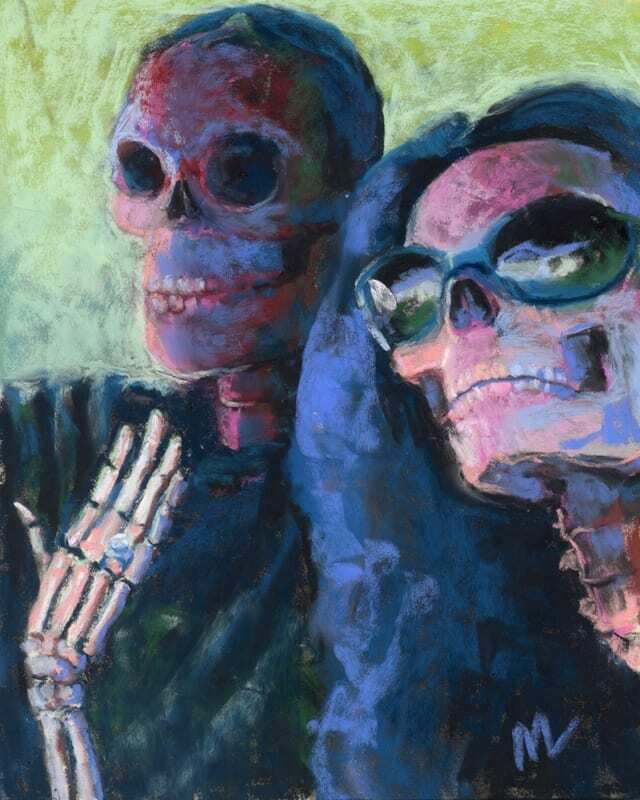 19, 100 Portraits in 100 Days, 6×9″ pastel on UArt 400 sanded paper mounted on foam core by Marie Marfia. Sold. Nos. 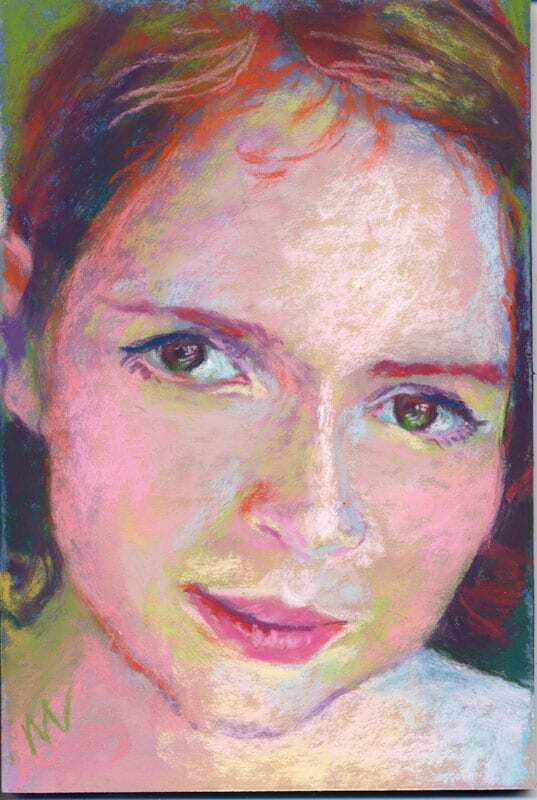 20-21, 100 Portraits in 100 Days, 8×10″ pastel painting on paper by Marie Marfia. No. 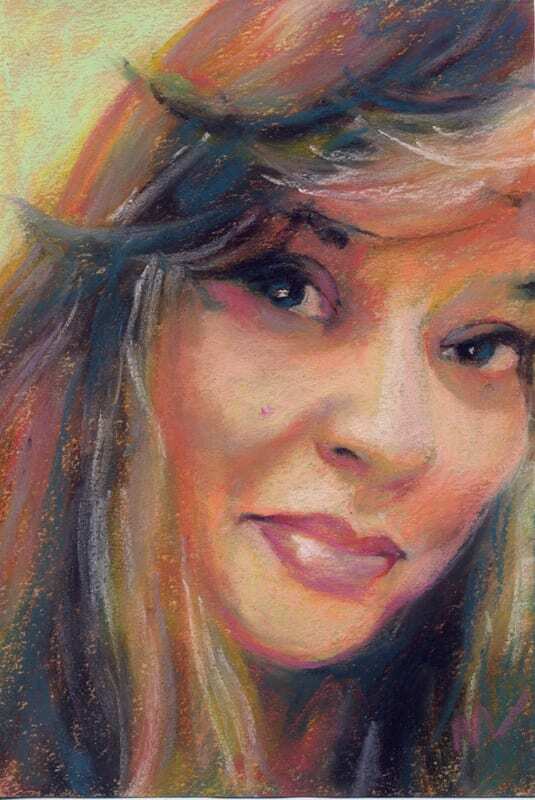 22, 100 Portraits in 100 Days, 6×9″ pastel on paper by Marie Marfia. Ariel, No. 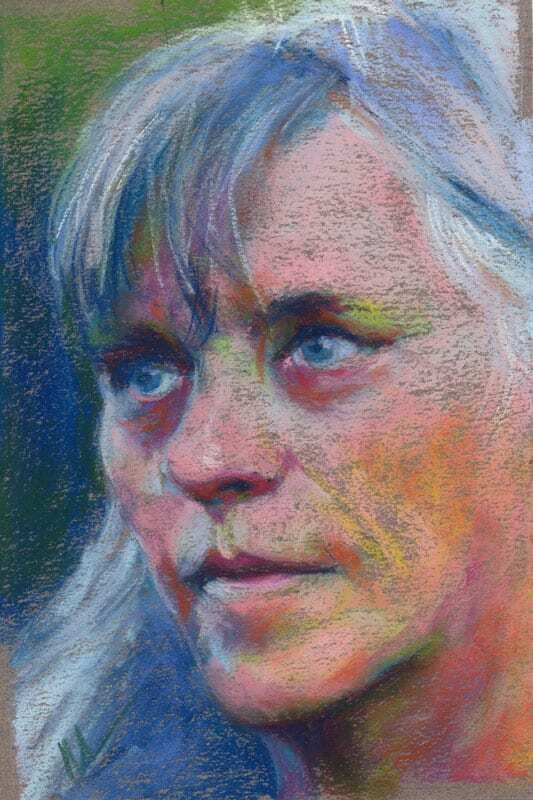 23, 100 Portraits in 100 Days, 6×9″ pastel on paper by Marie Marfia. Sold. No. 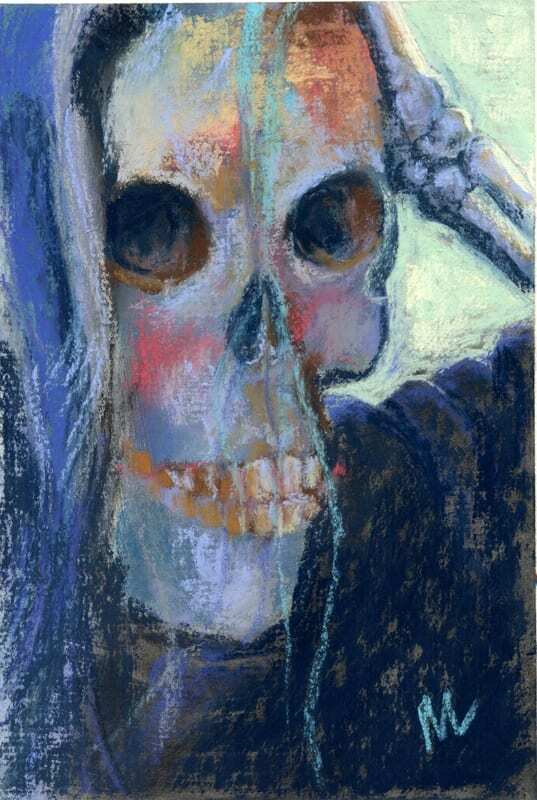 24, 100 Portraits in 100 Days, 6×9″ pastel on paper by Marie Marfia. Sold. No. 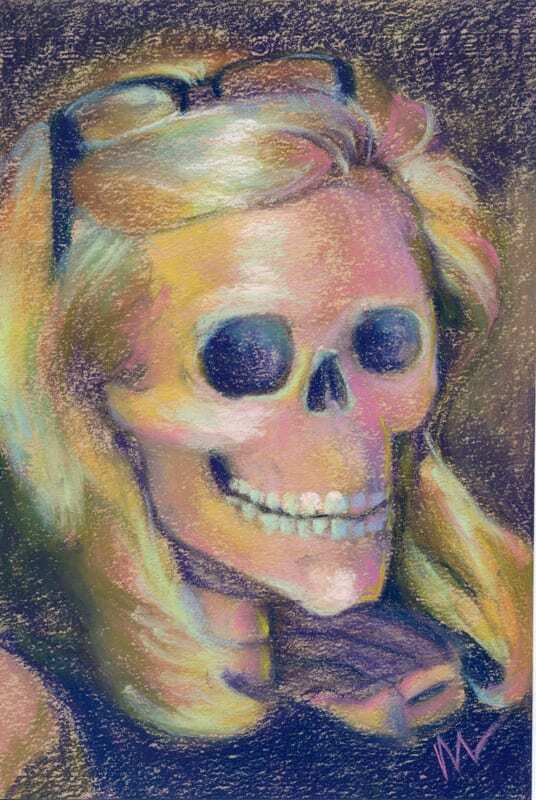 25, 100 Portraits in 100 Days (NSFW), 6×9″ pastel on Canson mi-teintes paper by Marie Marfia. Sold. No. 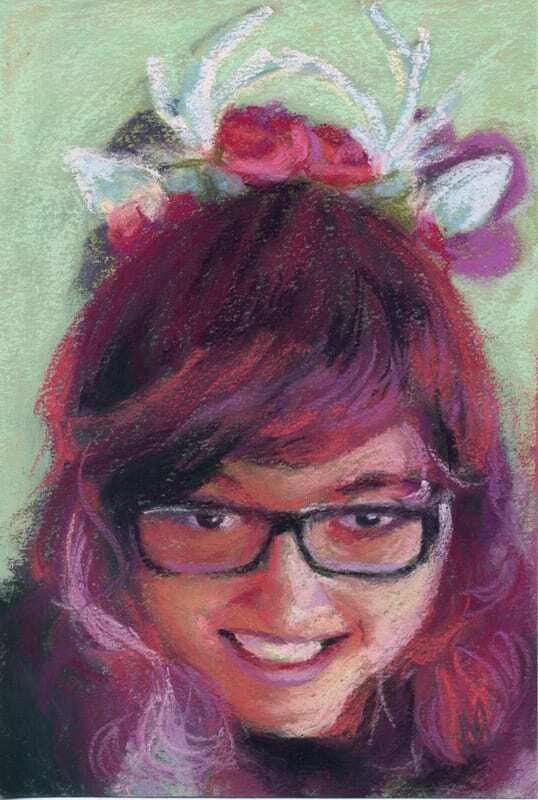 26, 100 Portraits in 100 Days, 6×9″ pastel portrait on paper by Marie Marfia. Sold. Nos. 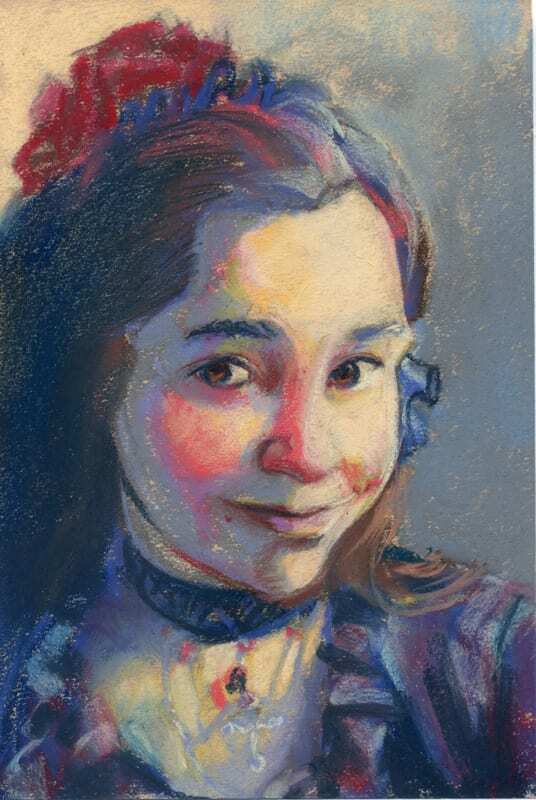 27-28, 100 Portraits in 100 Days, 8×10″ pastel on Canson mi-teintes paper by Marie Marfia. No. 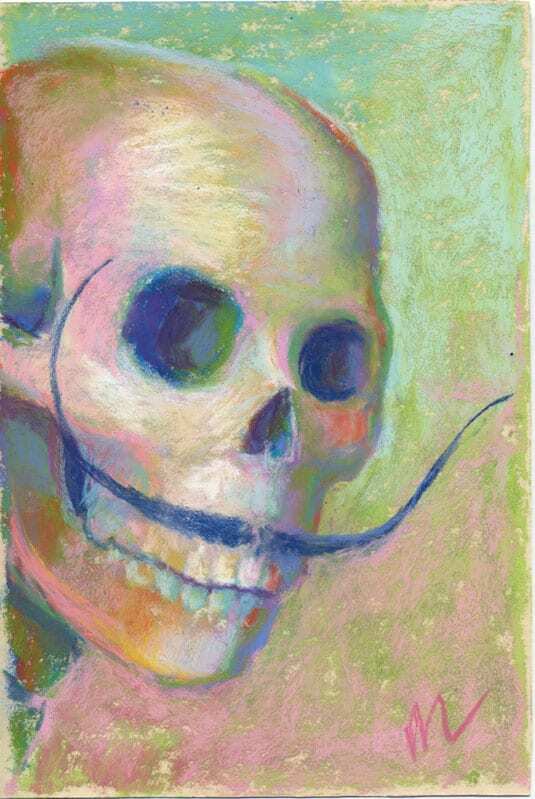 29, 100 Portraits in 100 Days, 6×9″ pastel on Canson mi-teintes oyster color paper by Marie Marfia. Nos. 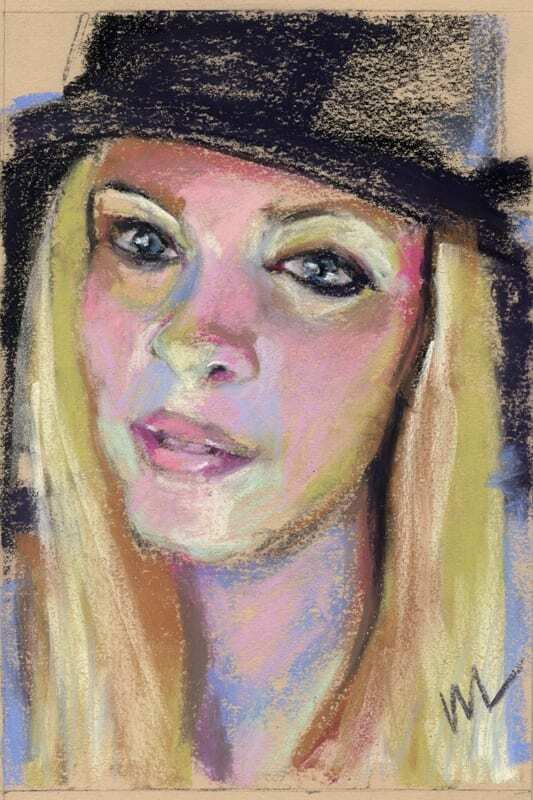 30-31, 100 Portraits in 100 Days, 8×10″ pastel on Canson mi-teintes oyster color paper by Marie Marfia. No. 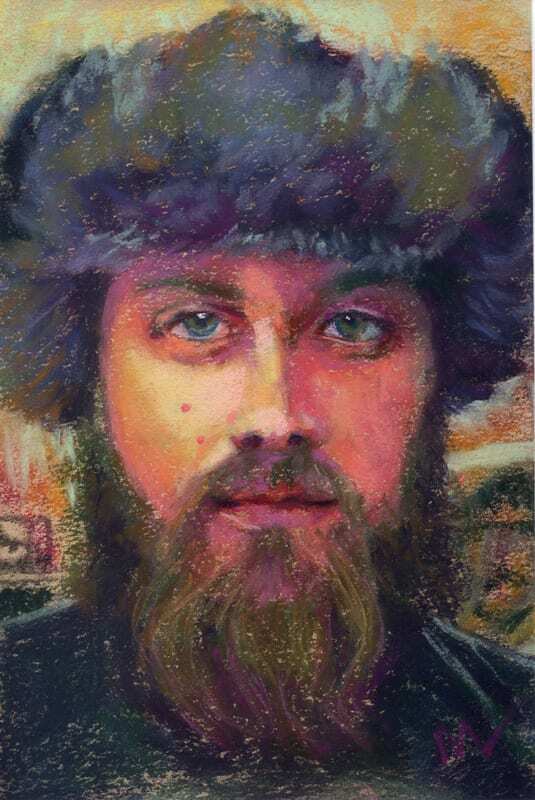 32, 100 Portraits in 100 Days, 6×9″ pastel on Canson mi-teintes paper, oyster color, by Marie Marfia. Nos. 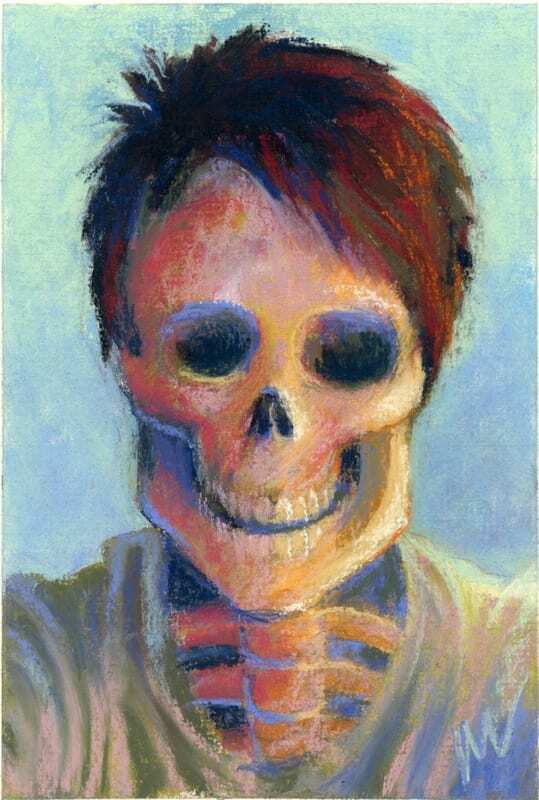 33-35, 100 Portraits in 100 Days, 6×10.5″ pastel on Canson mi-teintes oyster color paper by Marie Marfia. No. 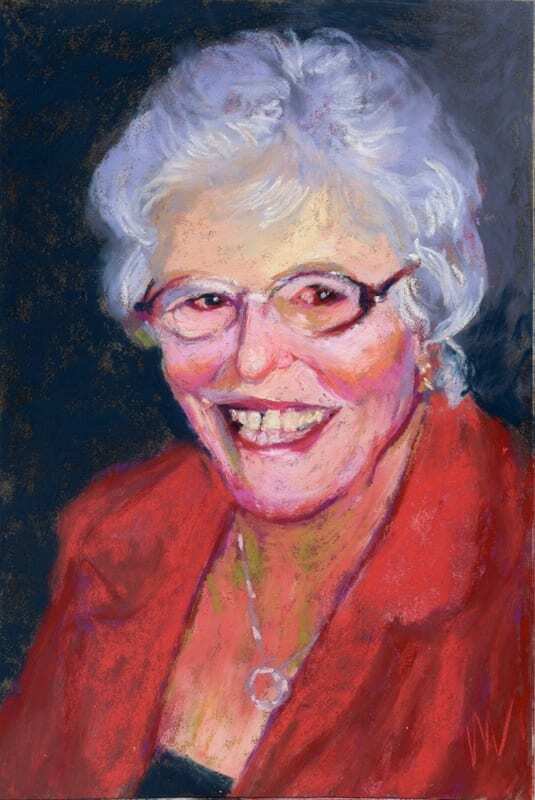 36, 100 Portraits in 100 Days, 6×9″ pastel on Canson mi-teintes oyster color paper by Marie Marfia. Sold. No. 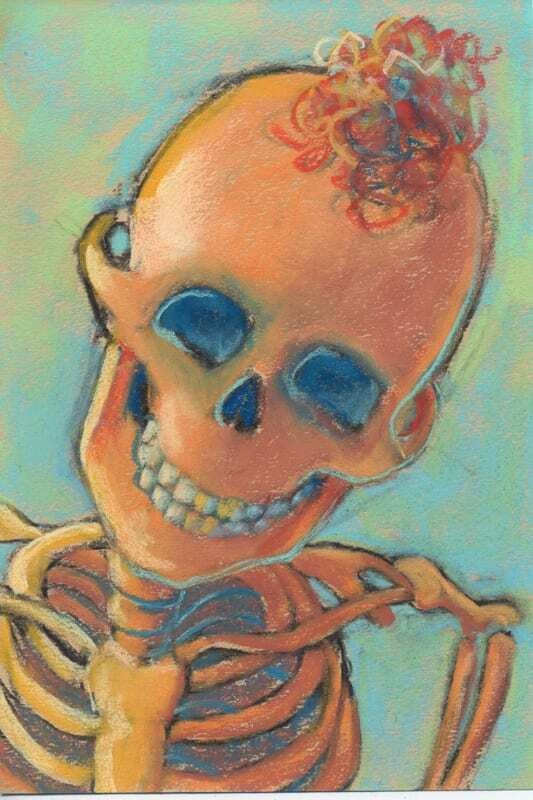 37, 100 Portraits in 100 Days, 6×9″ pastel on Canson mi-teintes oyster color paper by Marie Marfia. No. 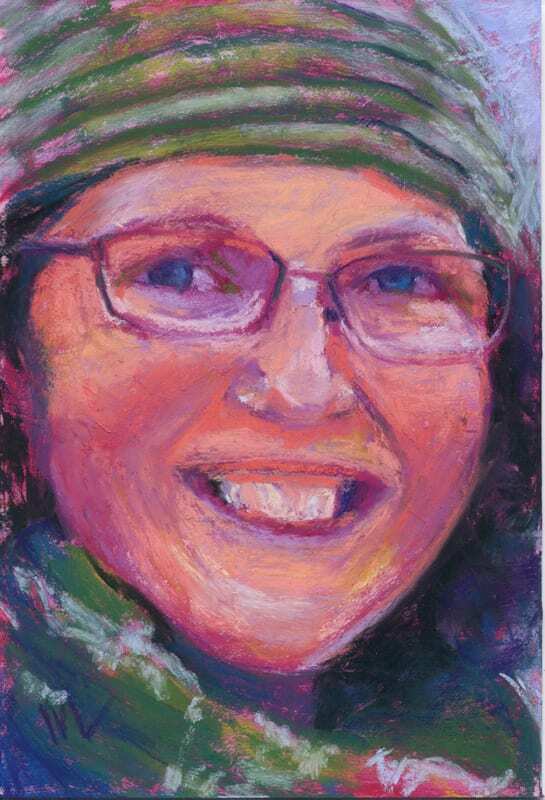 39, 100 Portraits in 100 Days, 6×9″ on Canson mi-teintes oyster color paper by Marie Marfia. Nos. 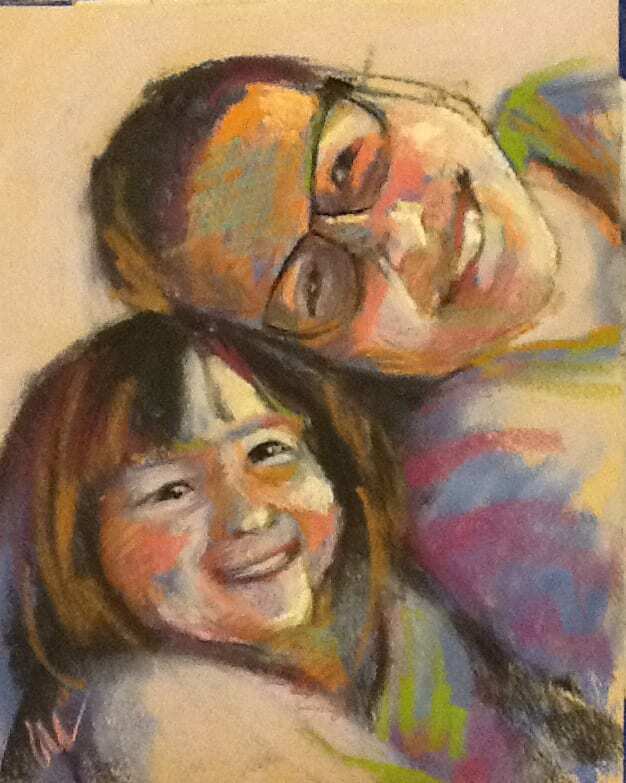 40-41, 100 Portraits in 100 Days, 10×8″ pastel on oyster color Canson mi-teintes paper by Marie Marfia. No. 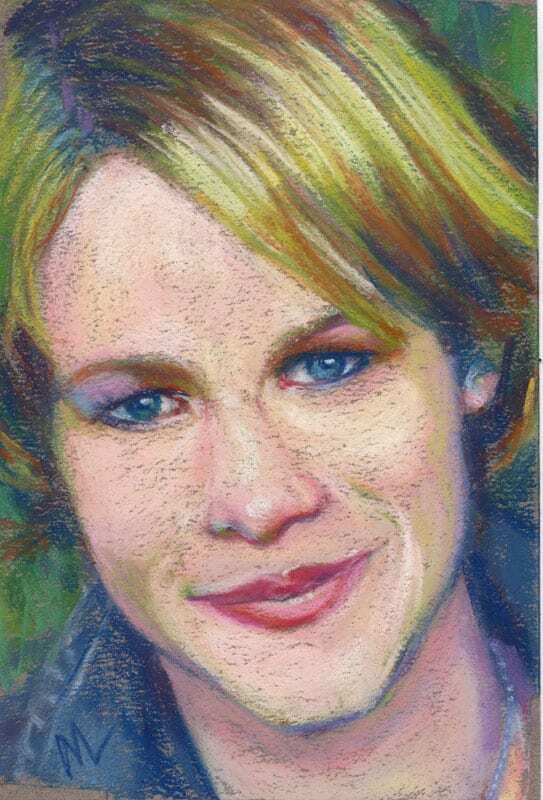 42, 100 Portraits in 100 Days, 6×9″ pastel painting on oyster color Canson mi-teintes paper by Marie Marfia. No. 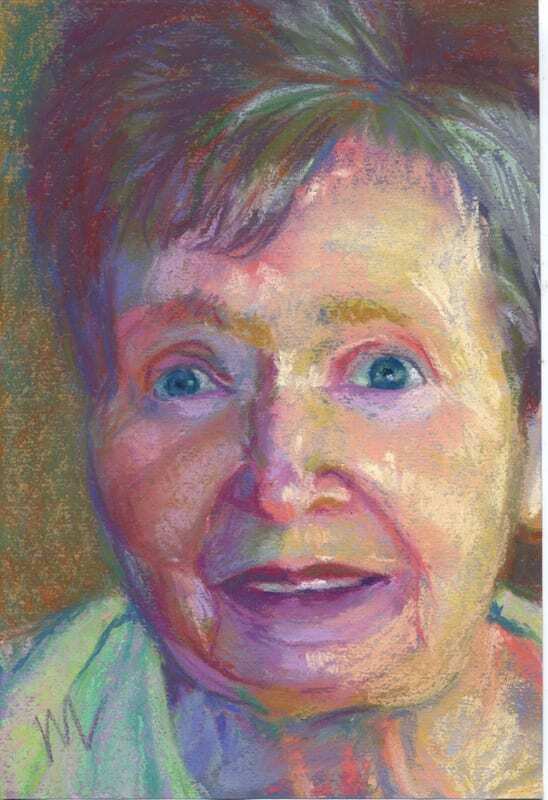 43, 100 Portraits in 100 Days, 6×9″ pastel on oyster color Canson mi-teintes paper by Marie Marfia. No. 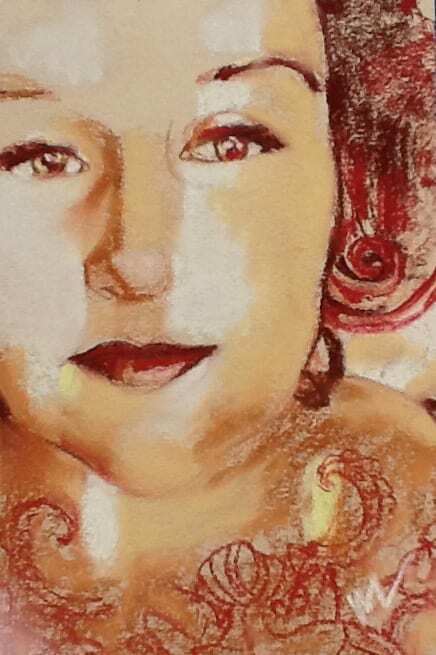 44, 100 Portraits in 100 Days, 6×8.5″ pastel on brown Canson mi-teintes paper by Marie Marfia. No. 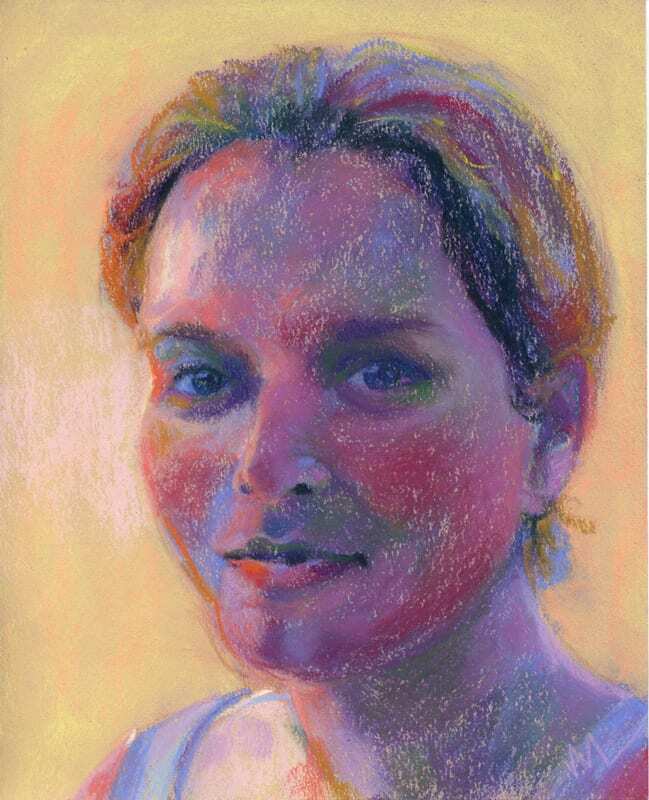 45, 100 Portraits in 100 Days, 6×9″ pastel on oyster color Canson mi-teintes paper by Marie Marfia. 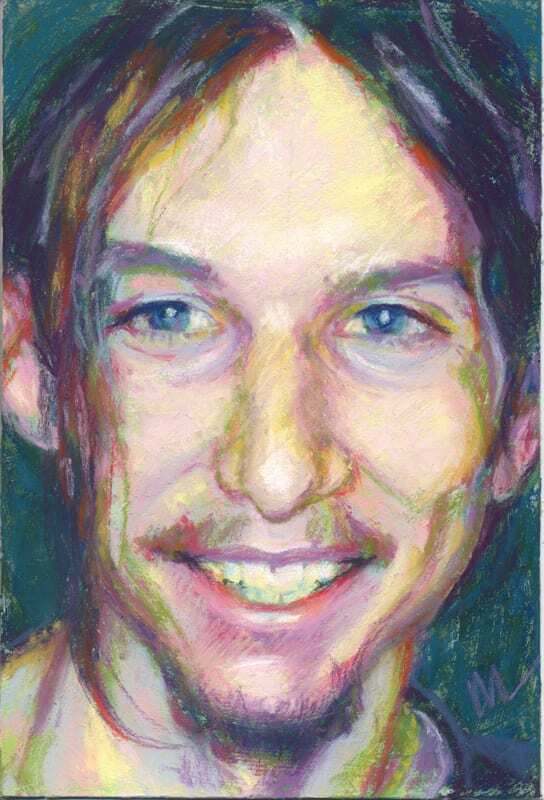 46-48, 100 Portraits in 100 Days, 10×8″ pastel on oyster color Canson mi-teintes paper by Marie Marfia. No. 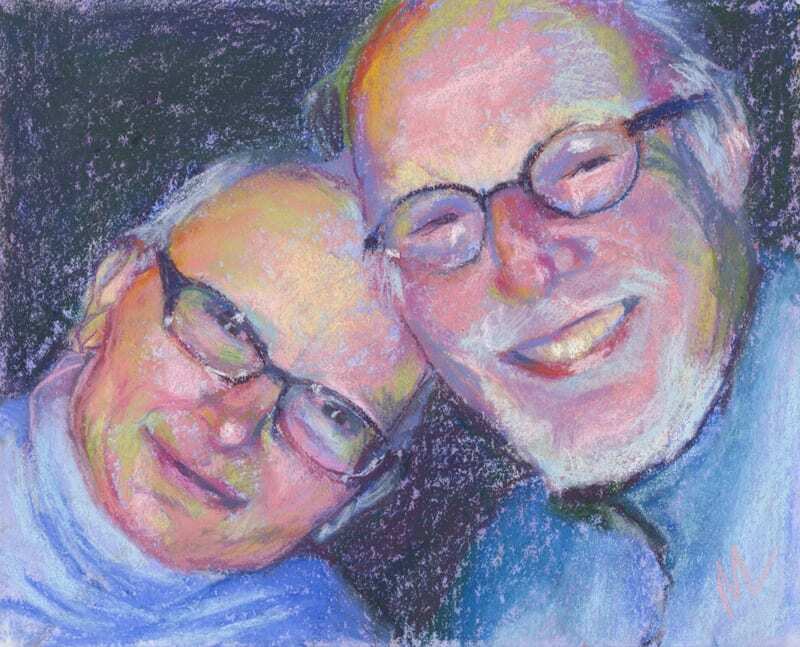 49, 100 Portraits in 100 Days, 6×9″ pastel on oyster color Canson mi-teintes paper by Marie Marfia. Nos. 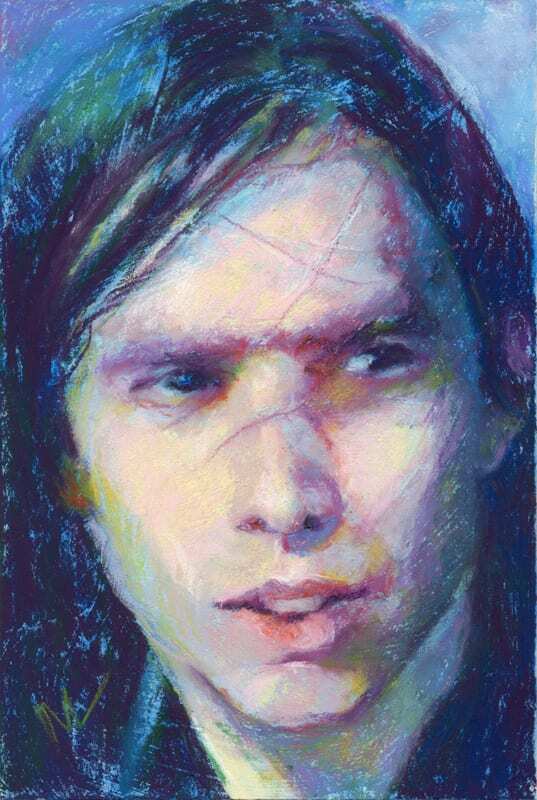 50-51, 100 Portraits in 100 Days, 8×10″ pastel and charcoal on paper by Marie Marfia. No. 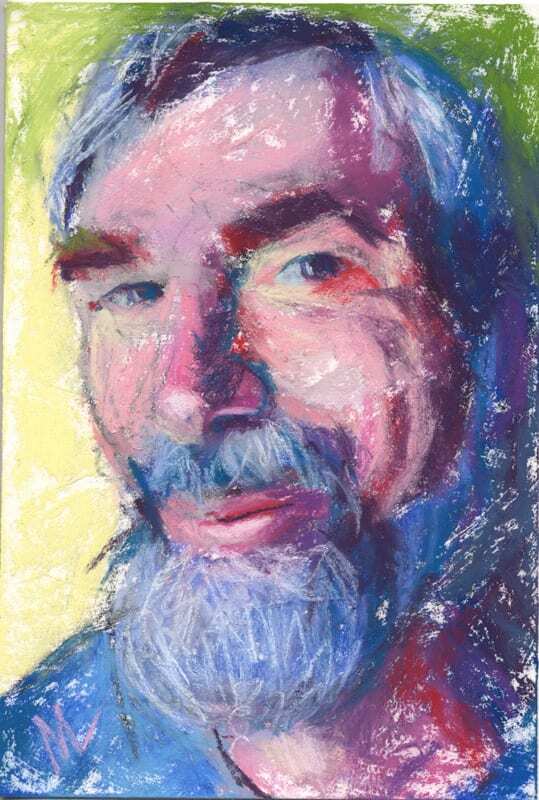 52-53, 100 Portraits in 100 Days, 8×10″ pastel on oyster color Canson mi-teintes paper by Marie Marfia. No. 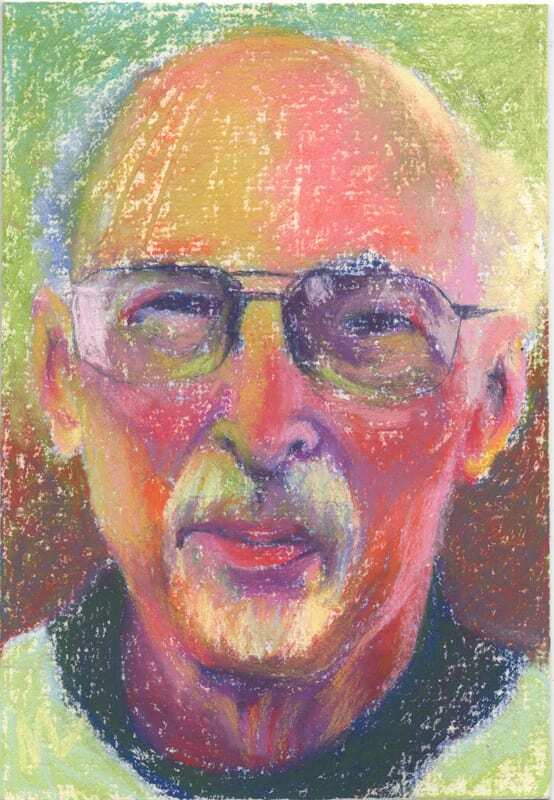 54, 100 Portraits in 100 Days, 6×9″ pastel on oyster color Canson mi-teintes paper by Marie Marfia. No. 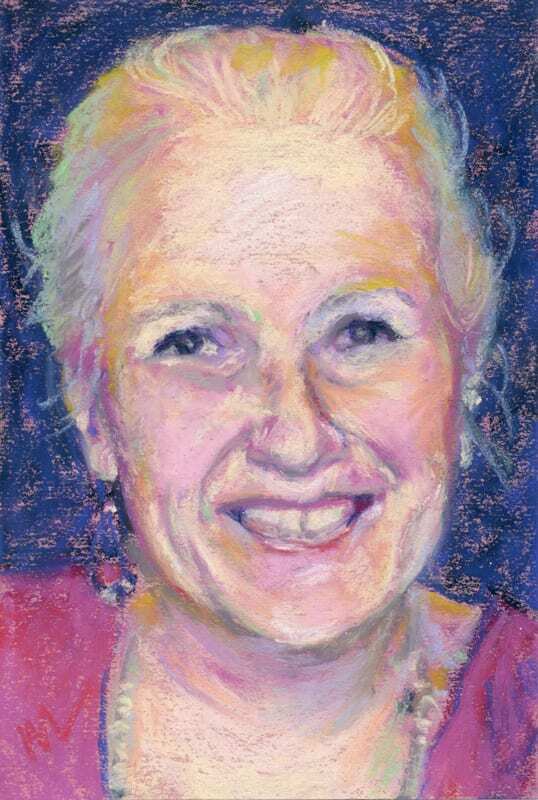 55-56, 100 Portraits in 100 Days, 8×9.5″ pastel on oyster color Canson mi-teintes paper by Marie Marfia. No. 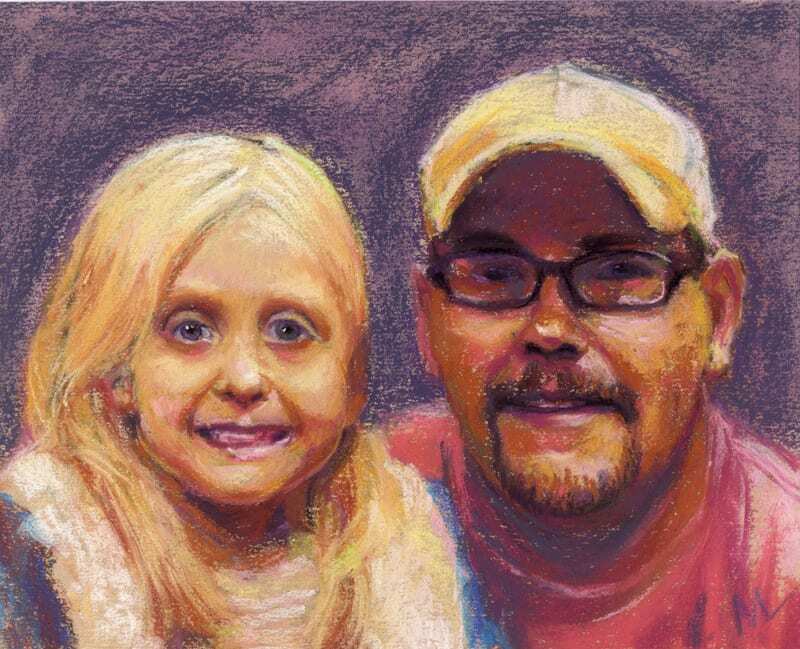 57, 100 Portraits in 100 Days, 6×9″ pastel on UArt 400 sanded paper by Marie Marfia. No. 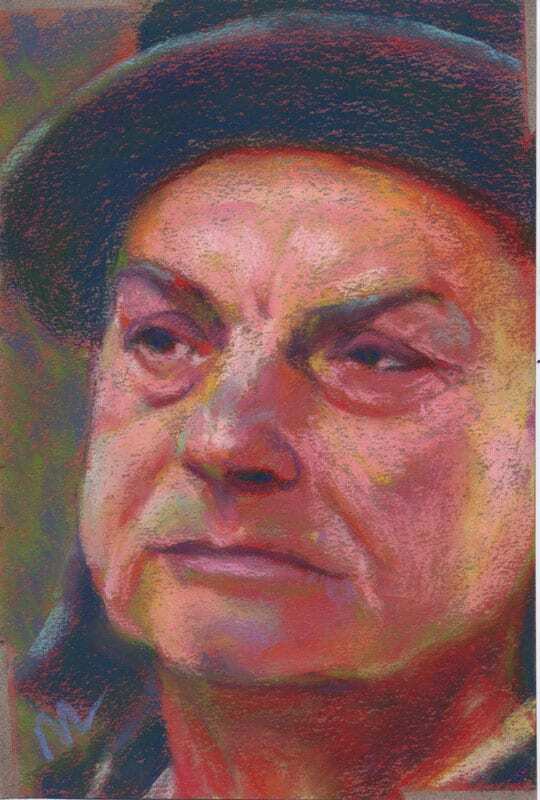 58, 100 Portraits in 100 Days, 6×9″ pastel on oyster color Canson mi-teintes paper by Marie Marfia. No. 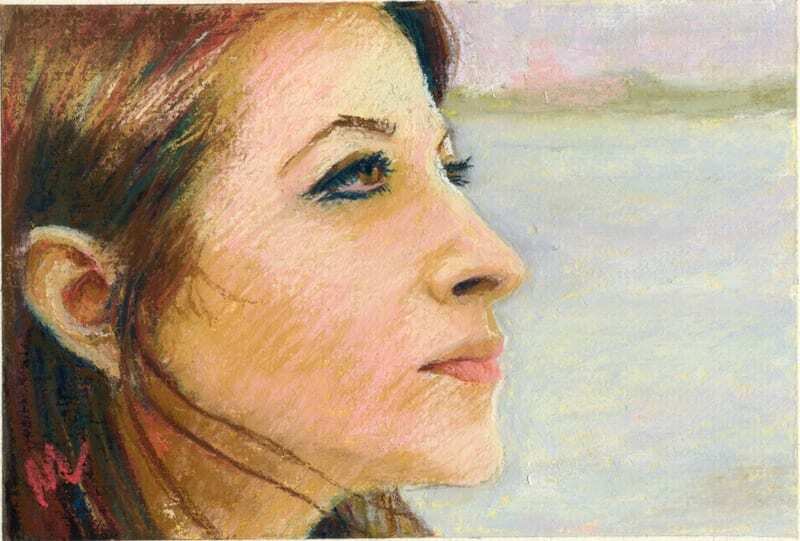 59-60, 100 Portraits in 100 Days, 8×10″ pastel on oyster color Canson mi-teintes paper by Marie Marfia. 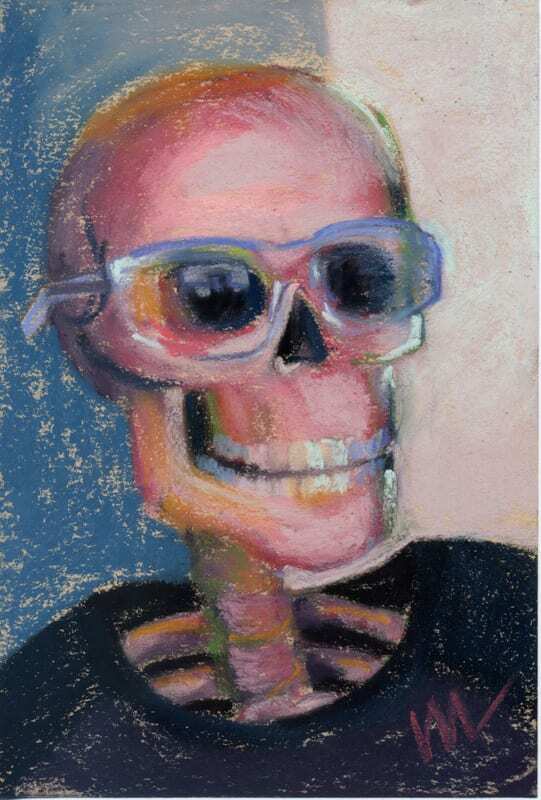 61-62, 100 Portraits in 100 Days, 8×10″ pastel on oyster color Canson mi-teintes paper by Marie Marfia. No. 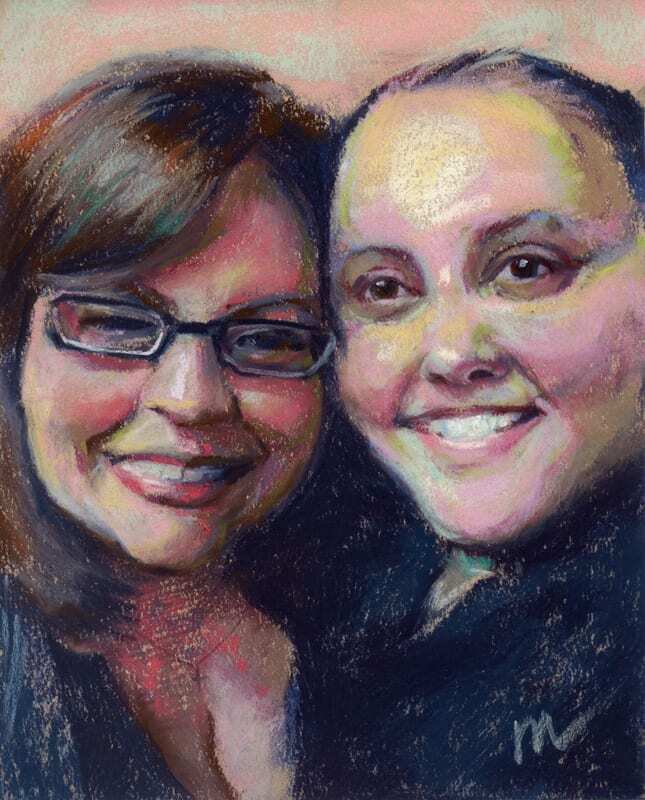 63, 100 Portraits in 100 Days, 6×9″ pastel on sanded paper by Marie Marfia. No. 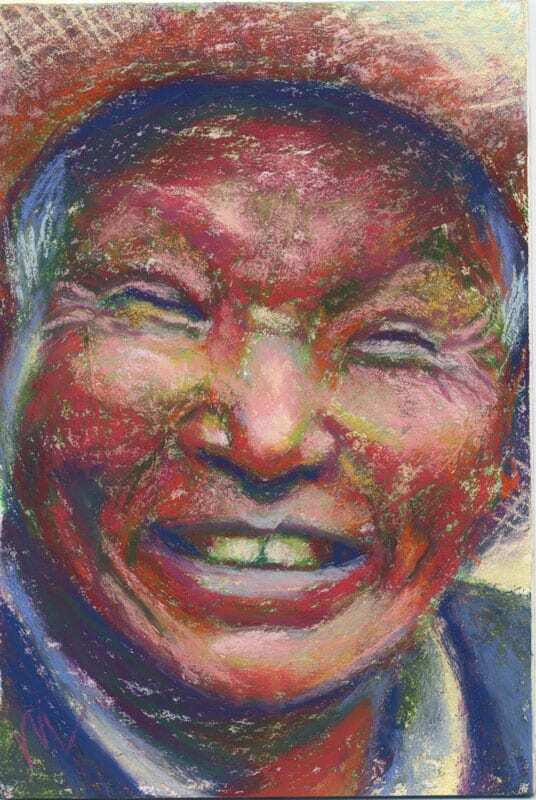 64, 100 Portraits in 100 Days, 6×9″ pastel on oyster color Canson mi-teintes paper by Marie Marfia. No. 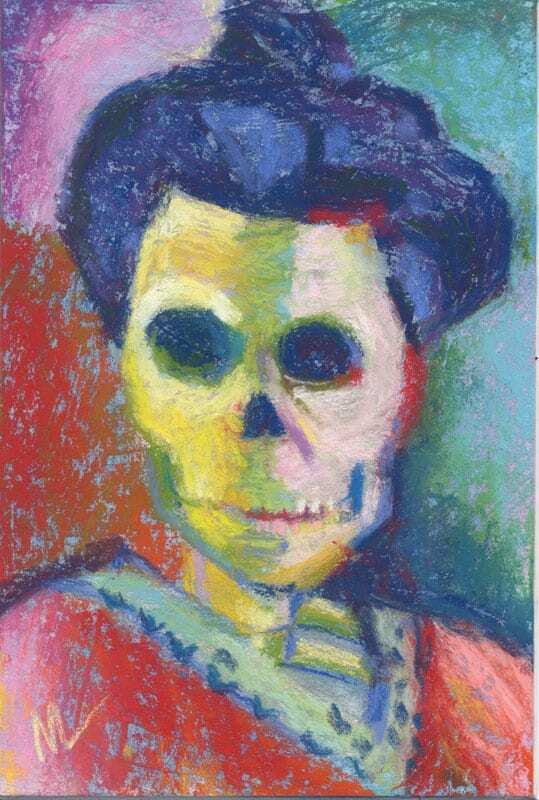 65, 100 Portraits in 100 Days, 6×9″ pastel on paper by Marie Marfia. Sold. No. 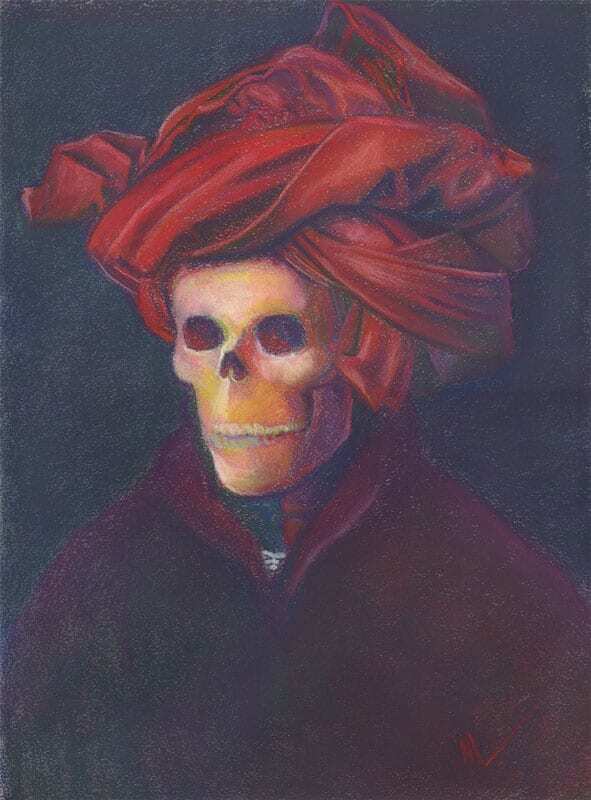 66, 100 Portraits in 100 Days, 6×9″ pastel on paper by Marie Marfia. No. 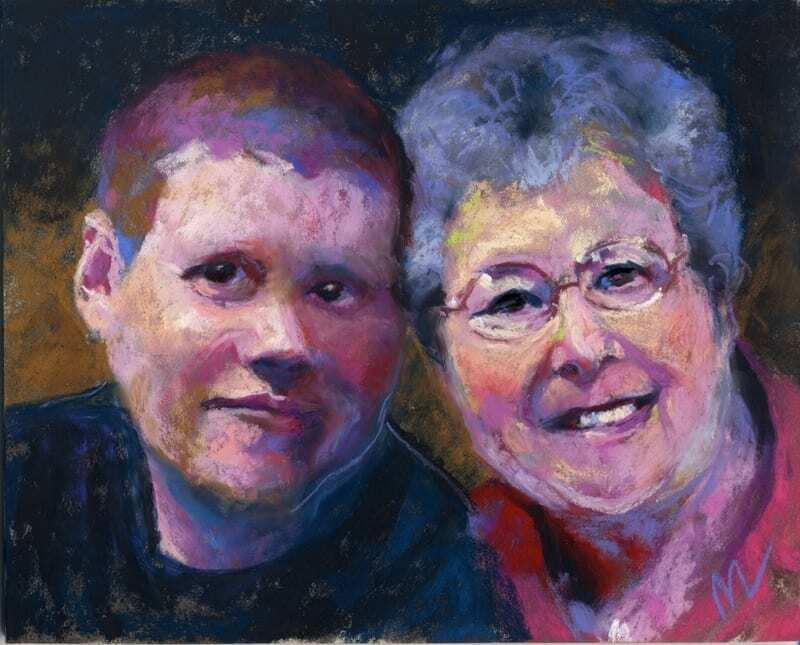 67, 100 Portraits in 100 Days, 6×9″ pastel on gessoed mat board by Marie Marfia. No. 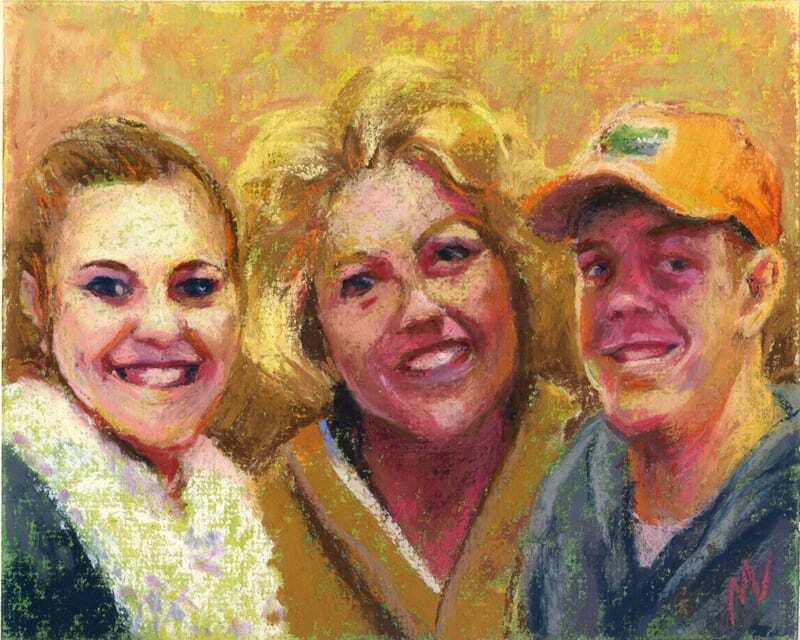 68, 100 Portraits in 100 Days, 6×9″ pastel on gessoed mat board by Marie Marfia. Nos. 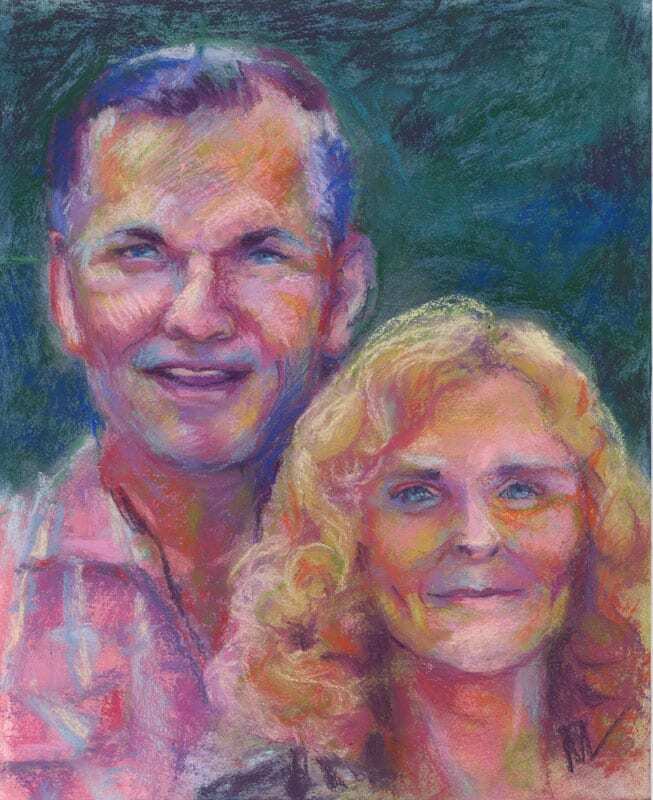 69-70, 100 Portraits in 100 Days, 8×10″ pastel portrait on gessoed mat board by Marie Marfia. Sold. No. 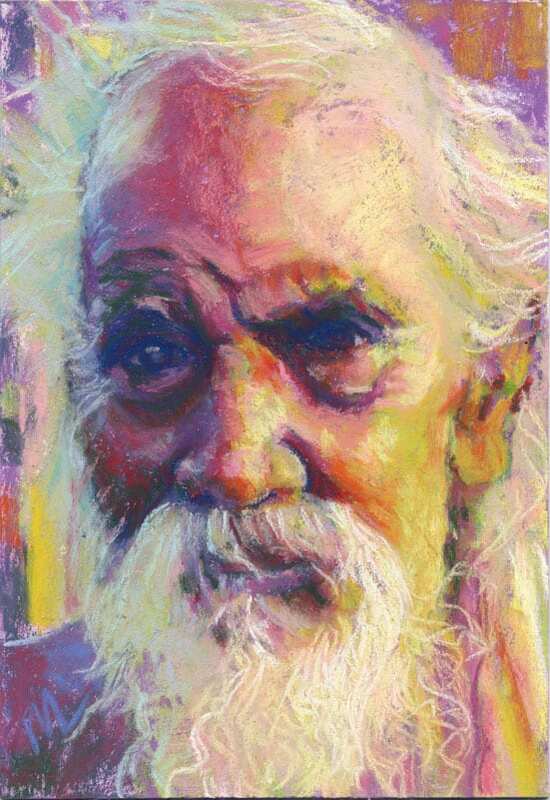 71, 100 Portraits in 100 Days, 6×9″ pastel on gessoed mat board by Marie Marfia. No. 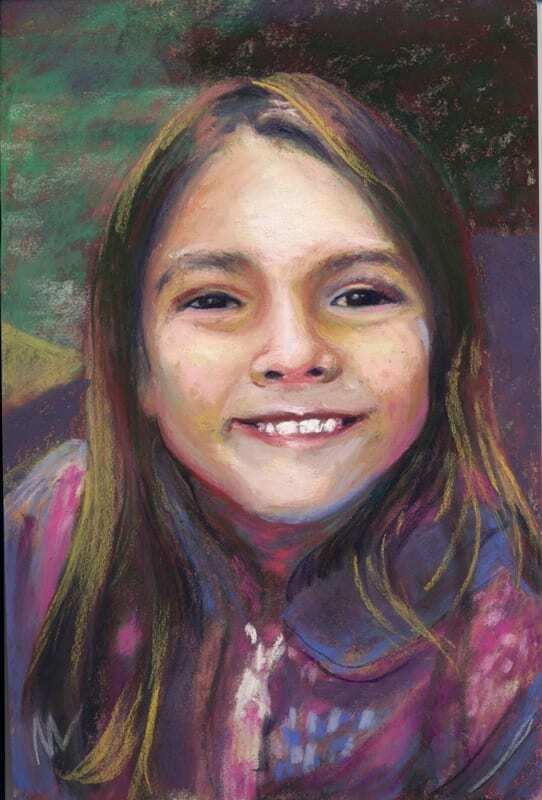 72-73, 100 Portraits in 100 Days, 8×10″ pastel portrait on gessoed mat board by Marie Marfia. Sold. No. 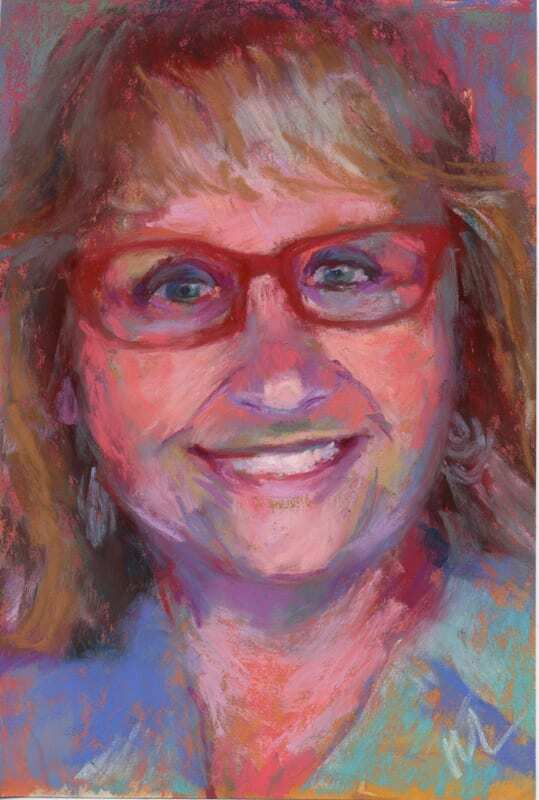 74, 100 Portraits in 100 Days, 6×9″ pastel on gessoed mat board by Marie Marfia. No. 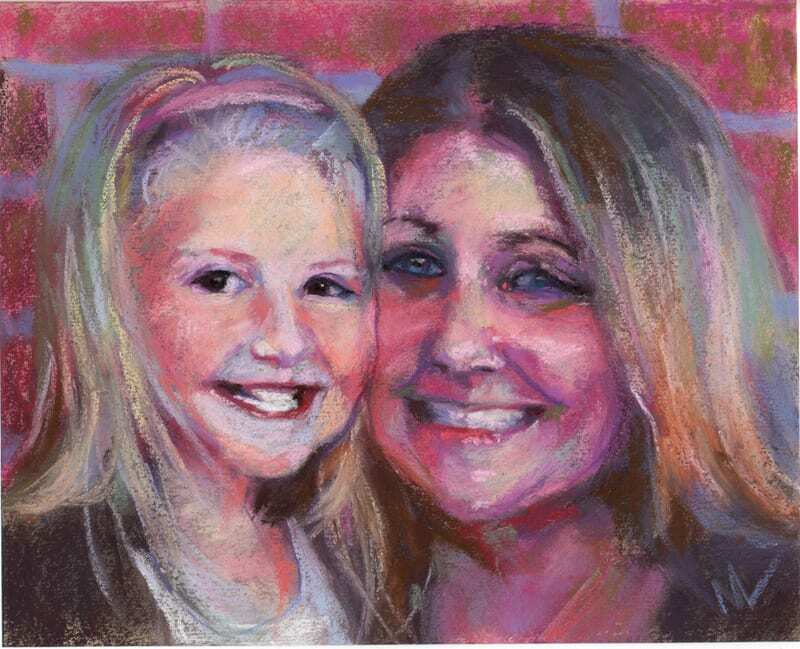 75, 100 Portraits in 100 Days, 6×9″ pastel portrait on gessoed mat board by Marie Marfia. No. 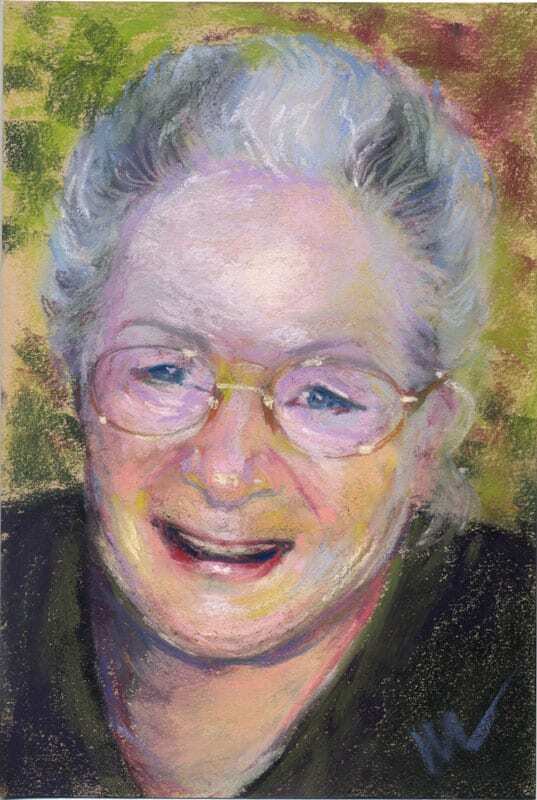 76, 100 Portraits in 100 Days, 6×9″ pastel on mat board with pumice ground by Marie Marfia. No. 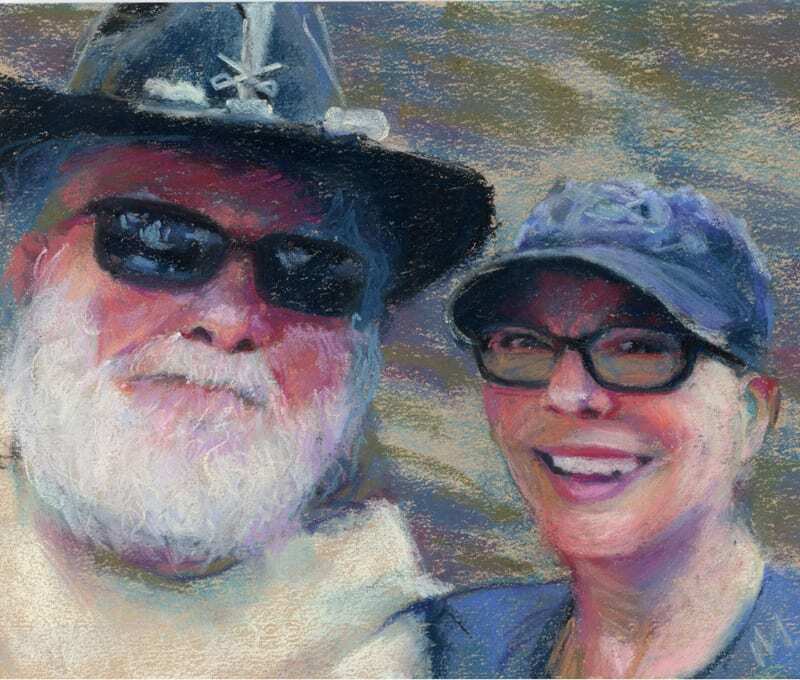 77, 100 Portraits in 100 Days, 6×9″ pastel on gessoed mat board by Marie Marfia. No. 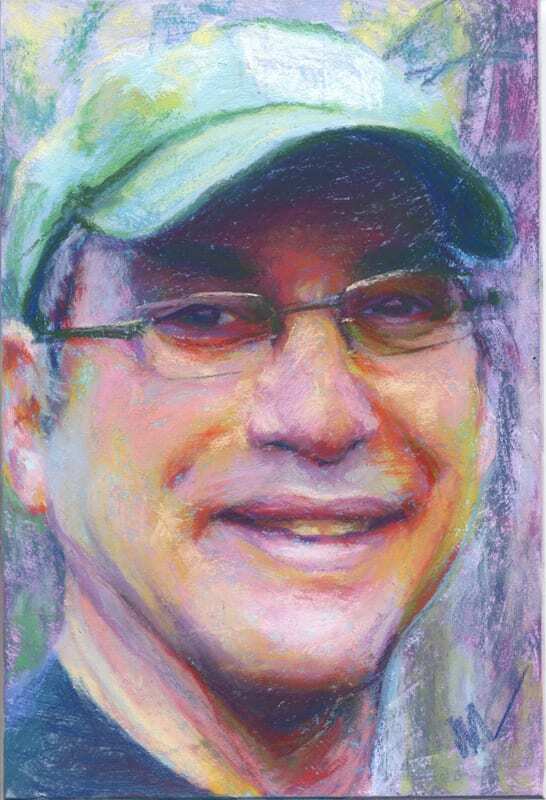 78, 100 Portraits in 100 Days, 6×9″ pastel on gessoed mat board by Marie Marfia. No. 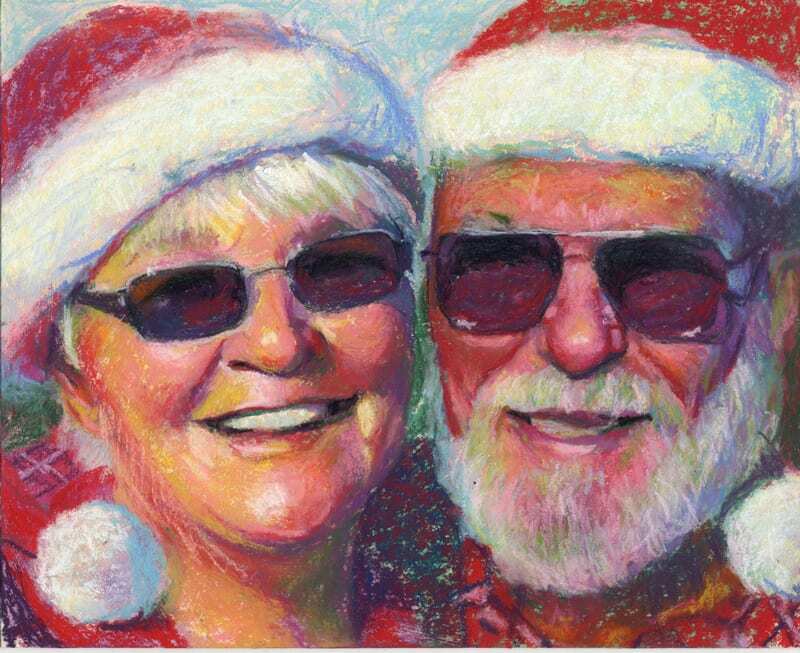 82, 100 Portraits in 100 Days, 6×9″ pastel painting on gessoed mat board by Marie Marfia. No. 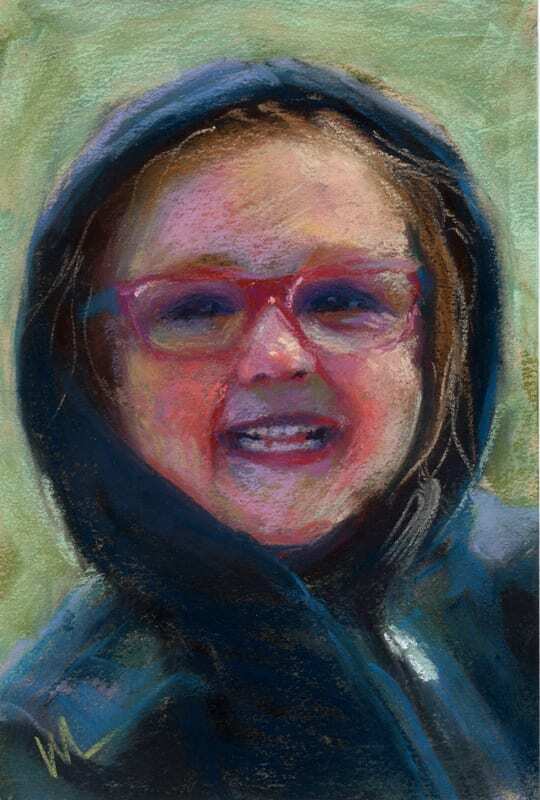 83, 100 Portraits in 100 Days, 6×9″ pastel on gessoed mat board by Marie Marfia. Kippy, No. 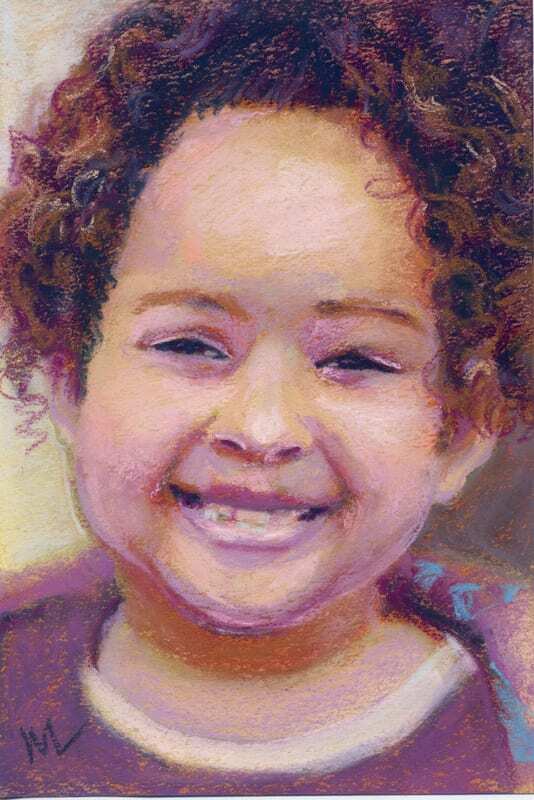 84, 100 Portraits in 100 Days, 6×9″ pastel on gessoed mat board by Marie Marfia. No. 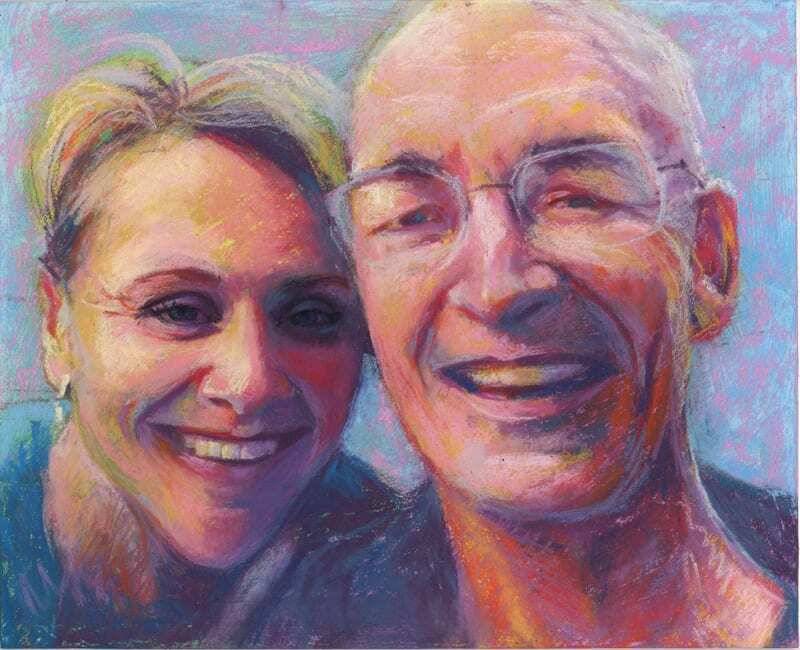 85, 100 Portraits in 100 Days, 6×9″ pastel on gessoed mat board by Marie Marfia. ©2017 Marie Marfia “Mr. 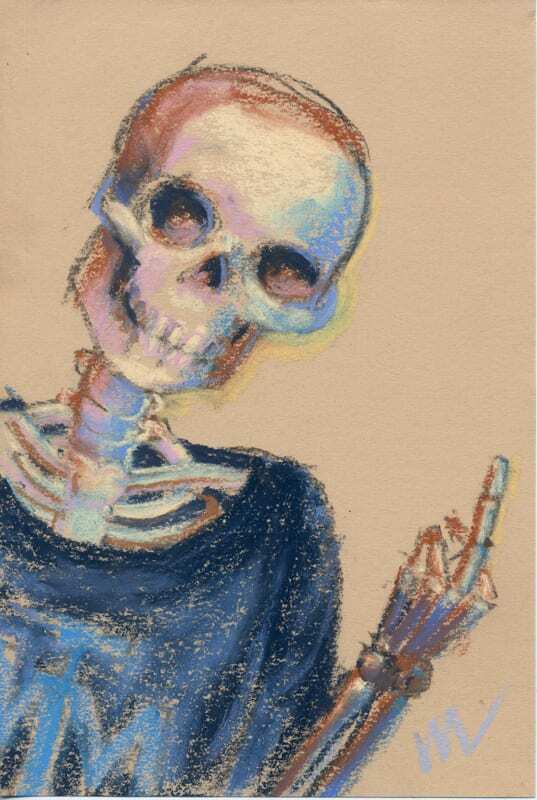 Grumpy Pants,” 9×6″ pastel portrait, $200. 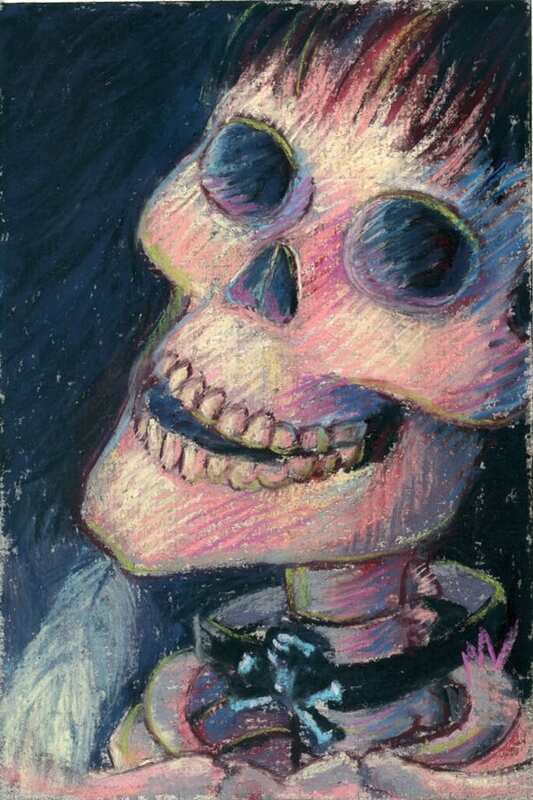 Salvador Skelly, 6×9″ pastel on sanded paper. 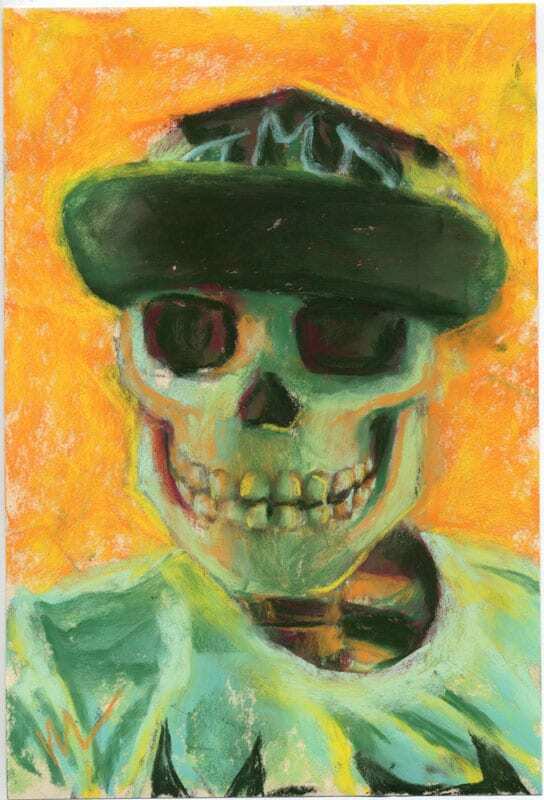 Green Stripe Skelly, 6×9″ pastel on gessoed mat board. 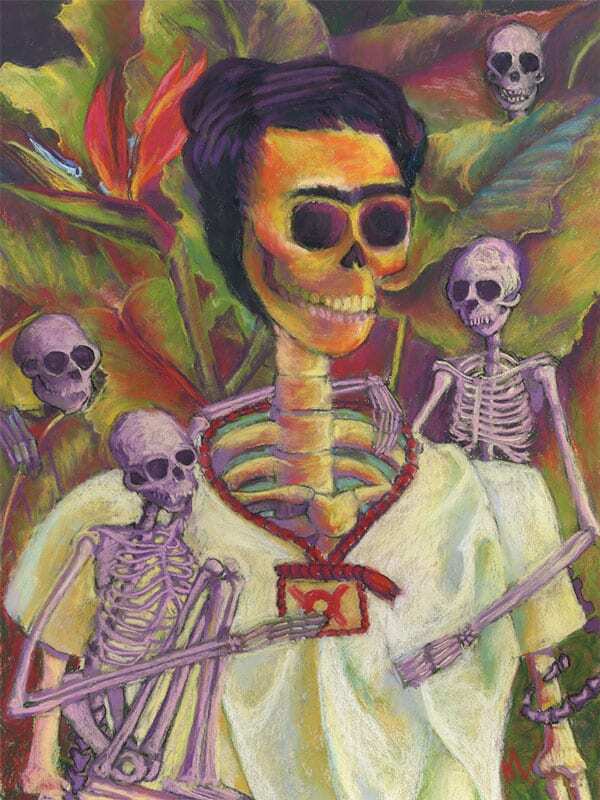 Frida Skelly with Monkeys, 12×18″ pastel on sanded paper.